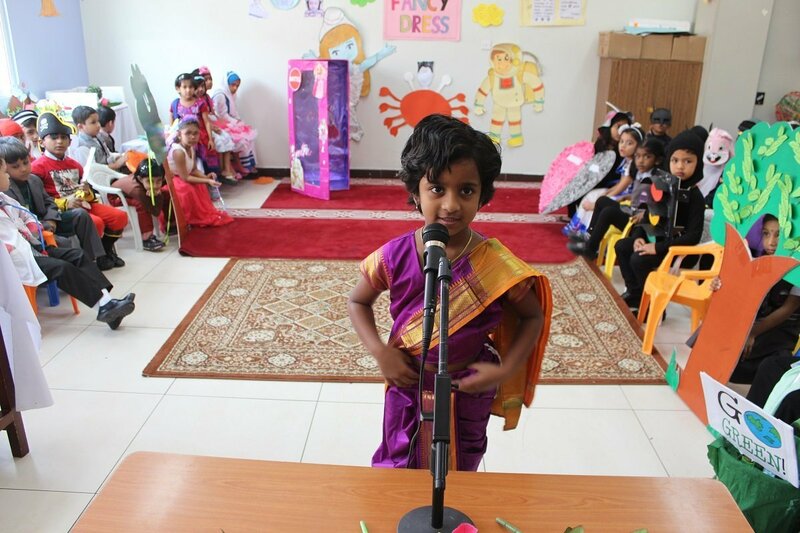 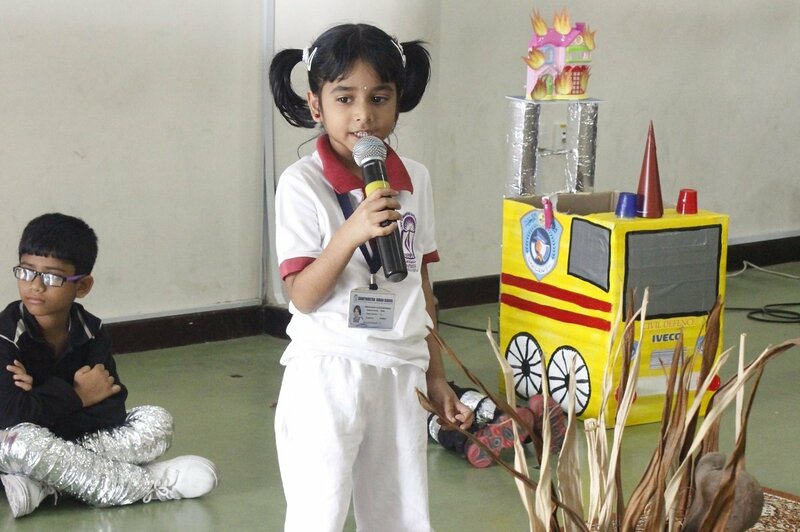 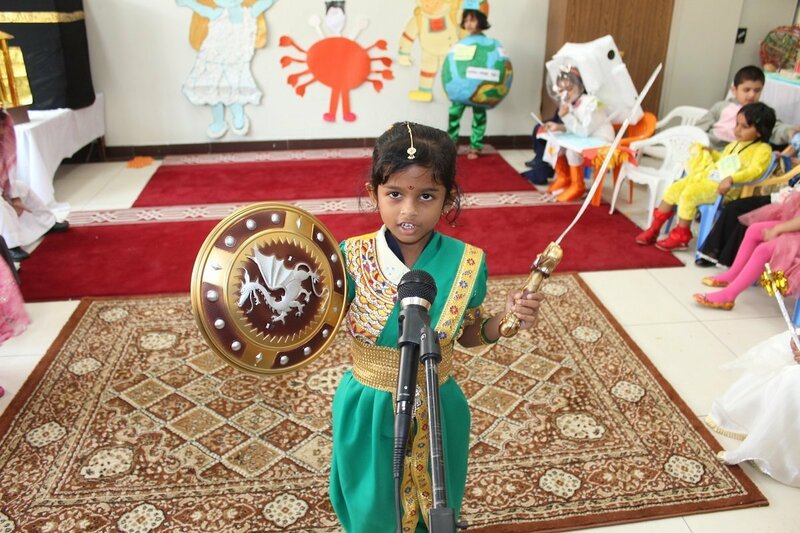 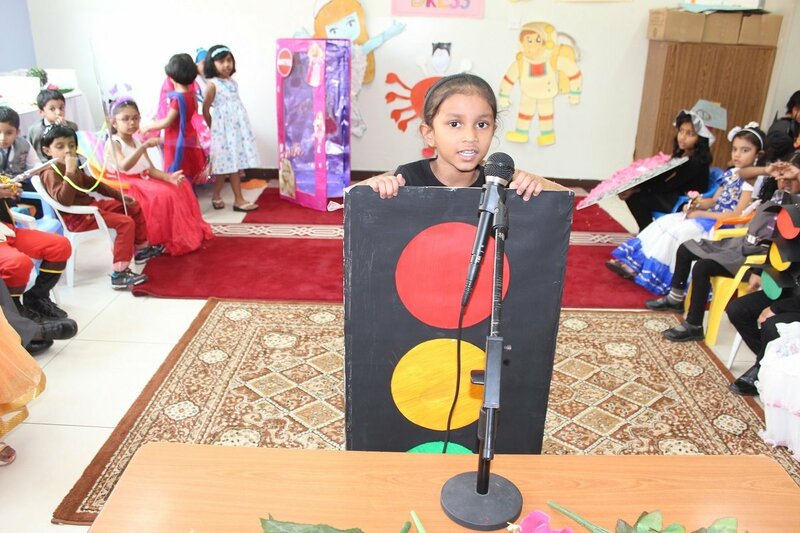 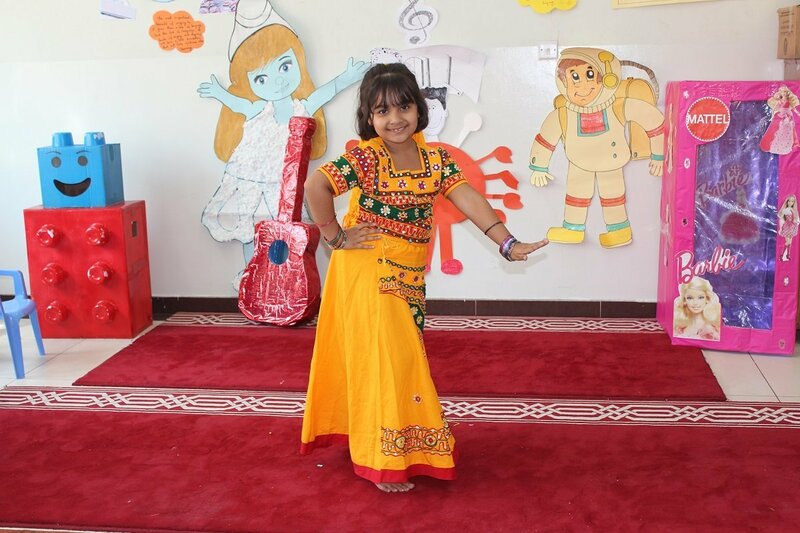 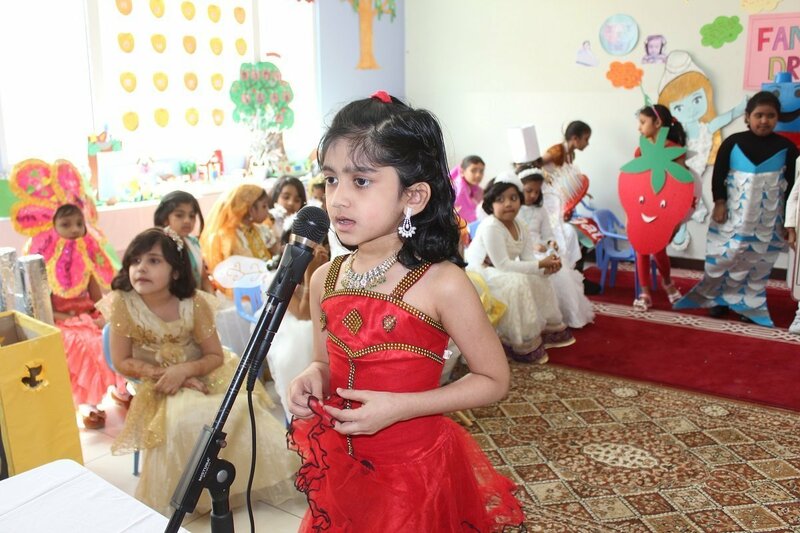 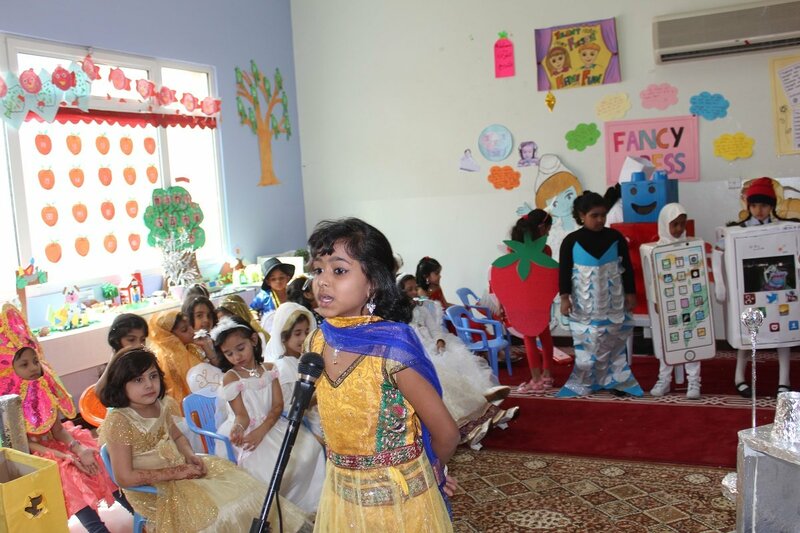 Talent Fiesta – an activity festival to showcase the latent talents of our children. 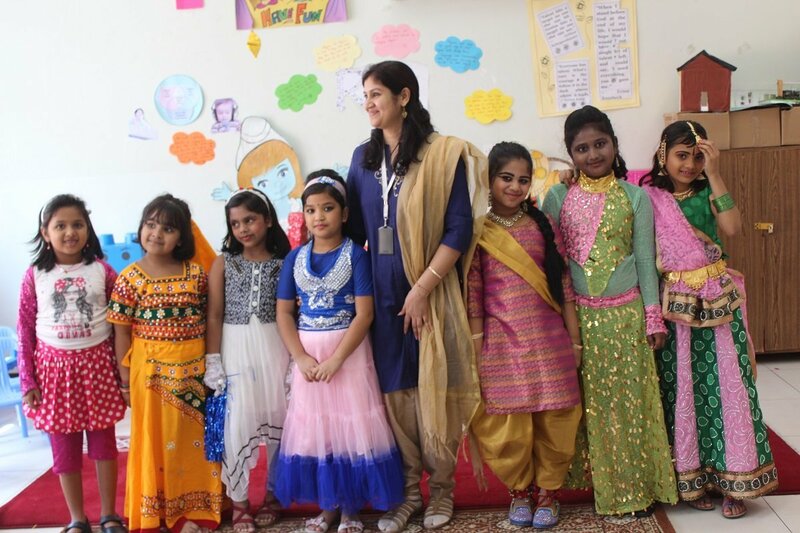 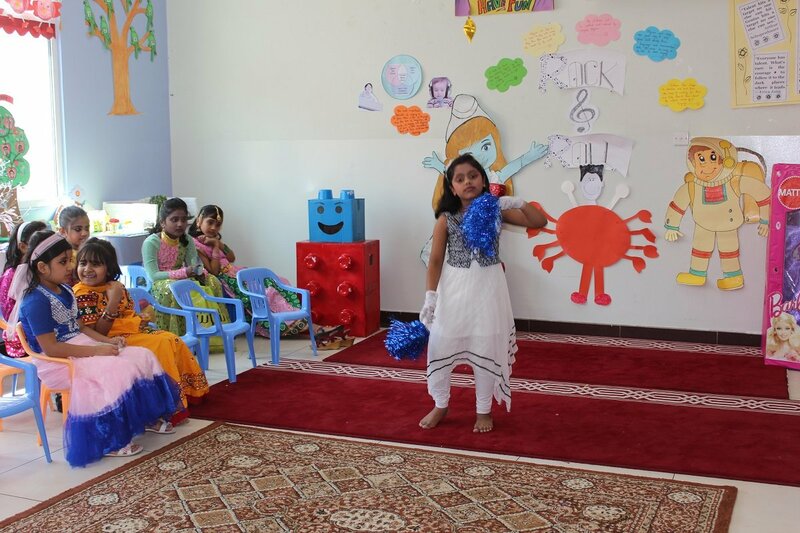 A week long fest was organized from 06.10.2015 to 12.10.2015 to provide the children opportunities to develop and hone their artistry and co-curricular skills. 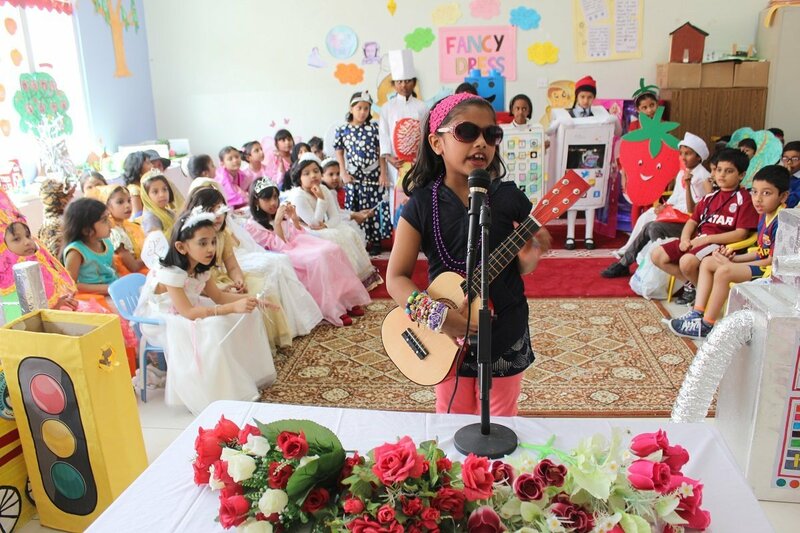 The Fiesta witnessed an array of events like Quran memorization, Rhymes & Rhythm, Speech with a Flair, Fancy Dress and Rock ‘n’ Roll. 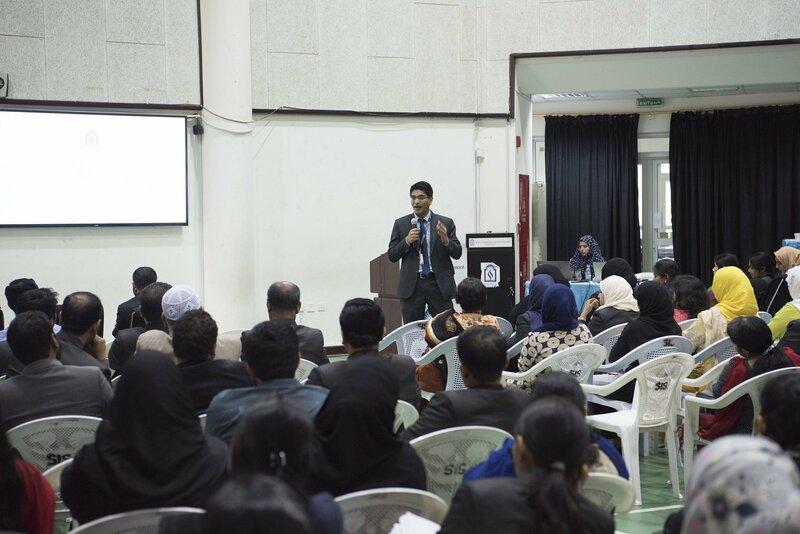 Experts from various fields invited to judge the competition shared tips and pointers with the students and provided them with a wonderful experience. 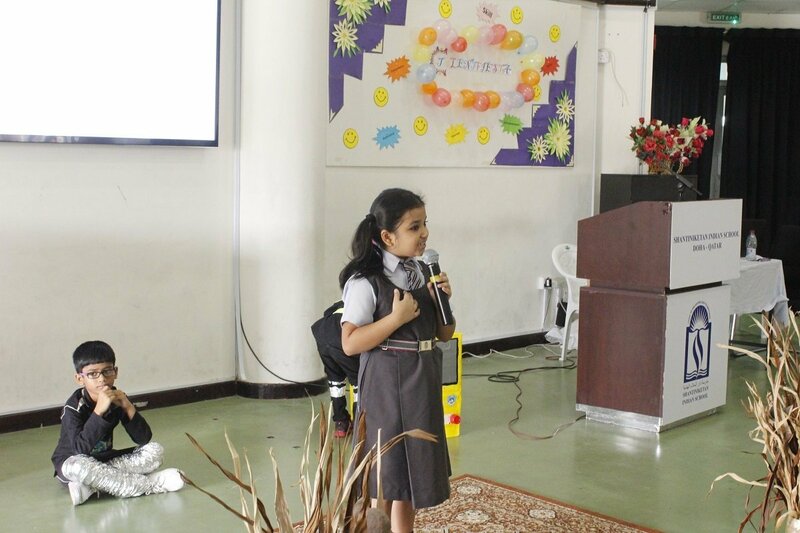 The sole aim of this celebration was to tap the young talent and nurture the dormant seeds of their talent to bring out their best. 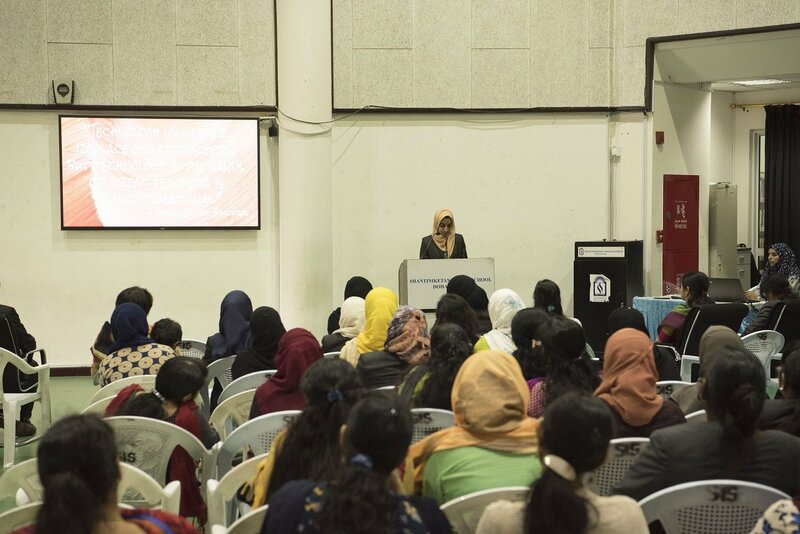 The journey of exhibiting the remarkable aptitude and competence started with the propitious Quran Memorization session. 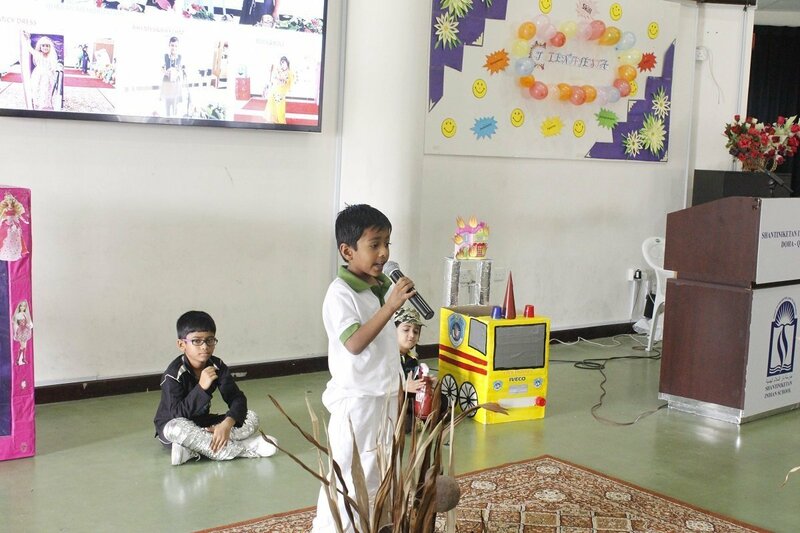 Read Qur’an and charge your Iman……..
Memorizing Quran is the worship of the heart……..
Quran memorization competition was held on 6th October, 2015. 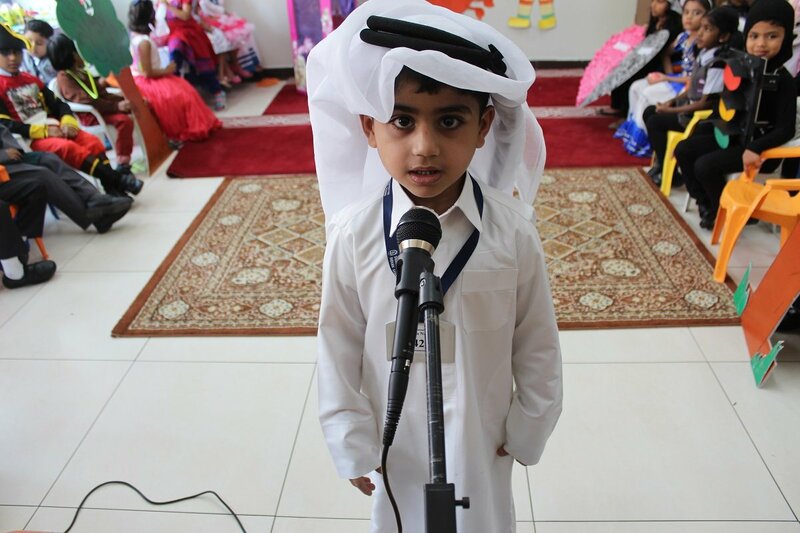 The young talent rendered the Holy verses of the Quran in an ambience of devotion, tranquility and serenity. 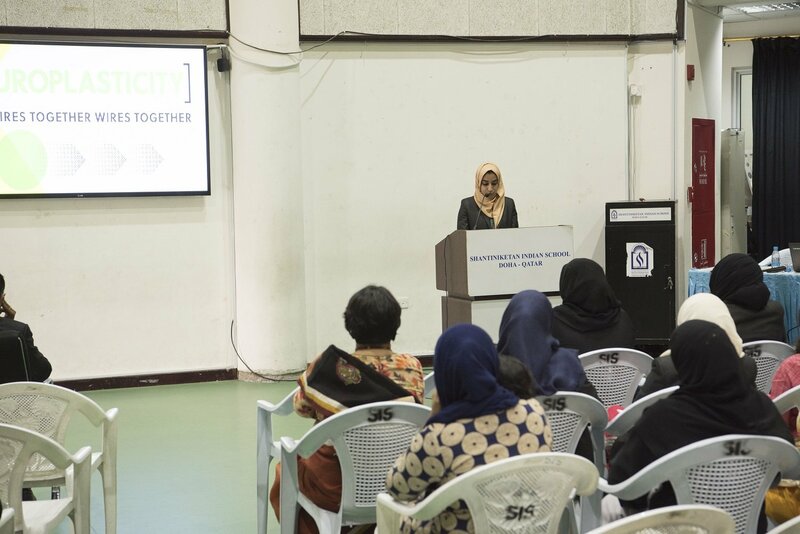 The significance and the benefits of reciting the Quran was vividly projected by the students through beautiful Quranic quotes and Hadiths. 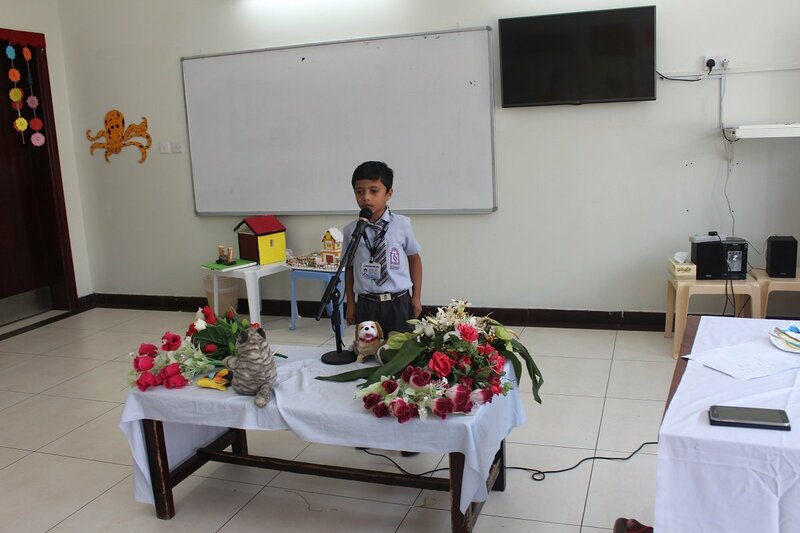 This kindled their young minds with the sense of faithfulness and a desire to create a niche for themselves through their righteousness, spirituality and ethics. 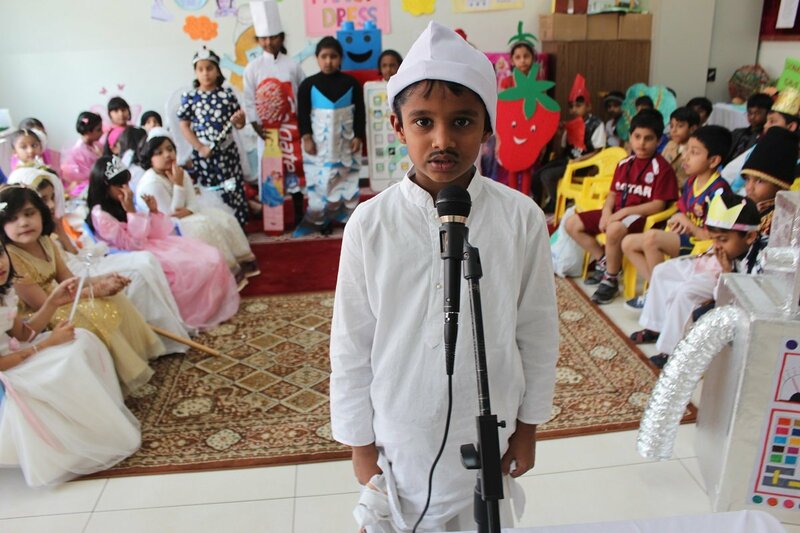 Posters and placards highlighting the effective tips pertaining to Qur’an memorization were aesthetically displayed. 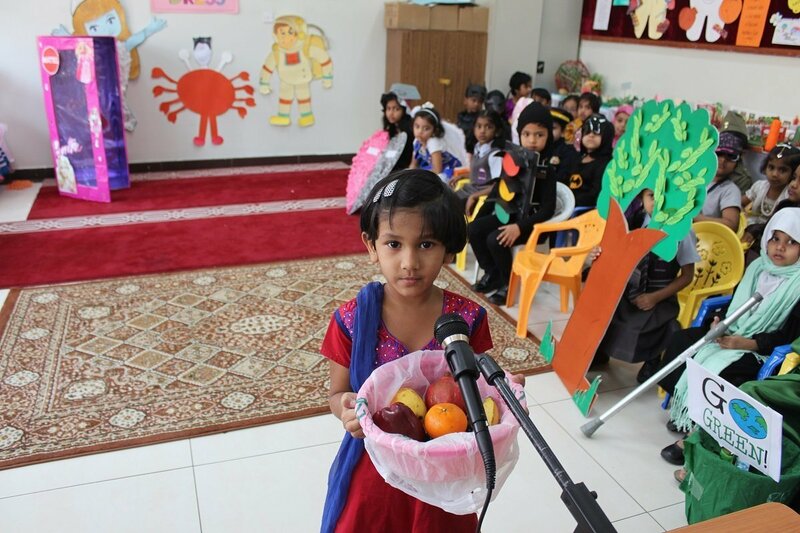 “Love & Learn Qur’an- Tranquility and Mercy descends …” was the slogan of the day……..The students were abreast with multiple ways of attaining the pleasure of Allah. 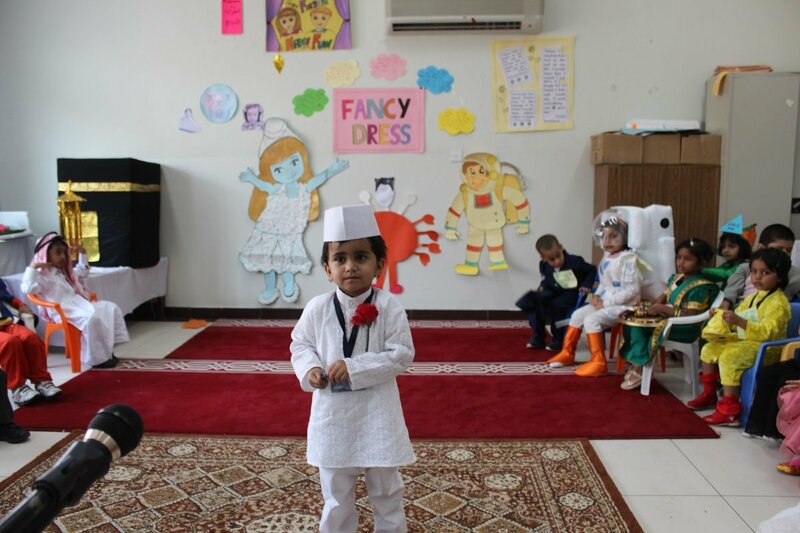 It was indeed gratifying to see the little ones finding peace, calmness and comfort in the remembrance of Allah. 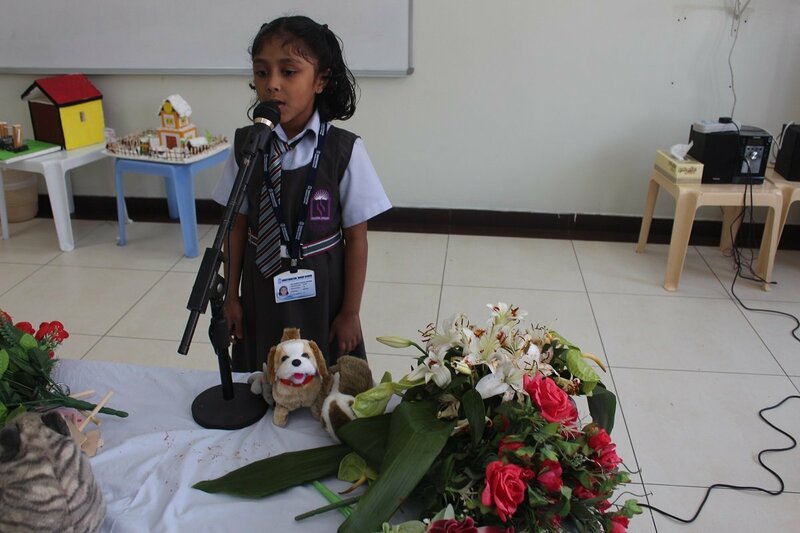 The innocent little ones succeeded in creating an aura of spiritual sanctity and faithfulness. 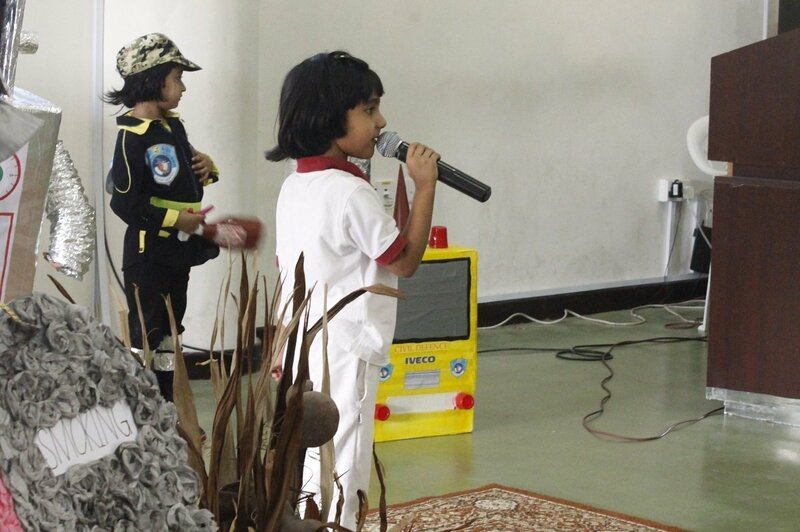 Young talent found expression in rhythm, tone and movement. 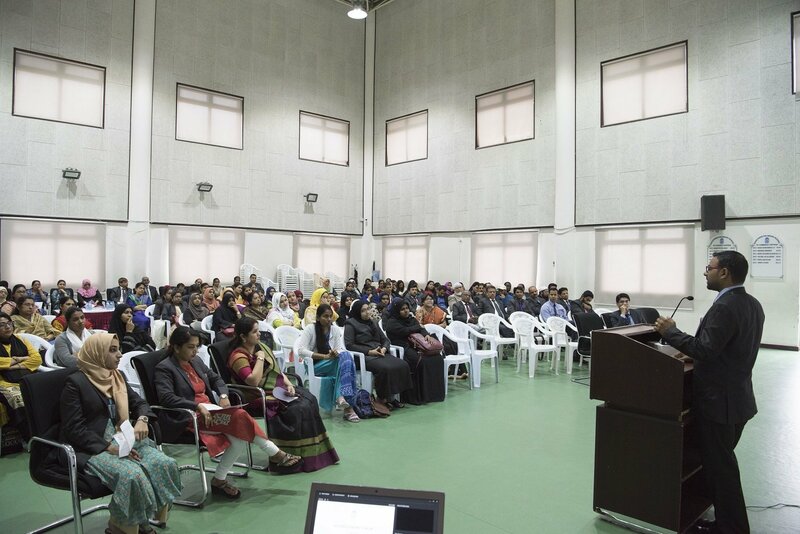 It was heartening to see a large number of eagerly waiting participants ready for action…. 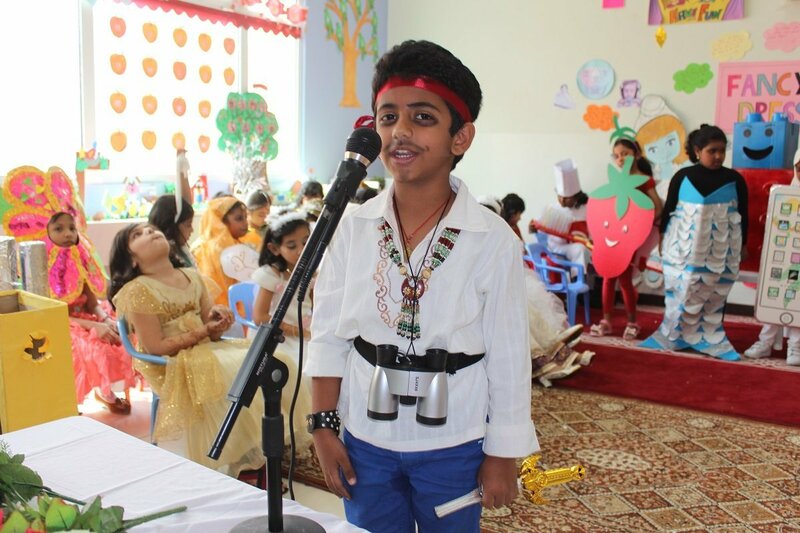 fully loaded with energy and smile to present their favourite songs. 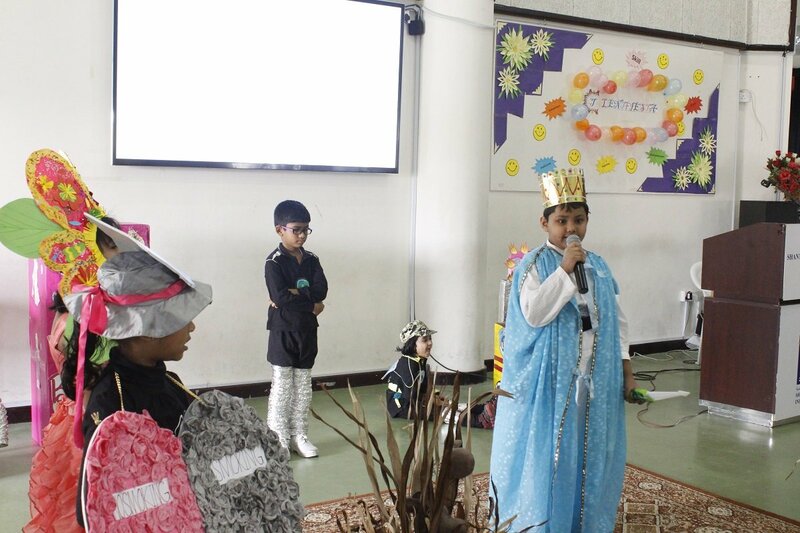 The children performed with great élan and confidence and wooed the judges with their actions, expressions, rhythm and use of props. 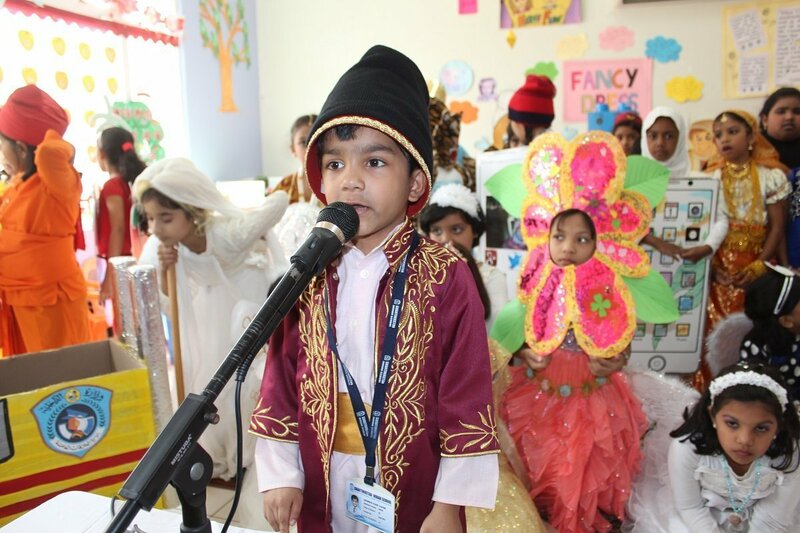 The rhythm, beats and the melodious rendition of lively songs created a momentum of bliss, merriment and jubilation. 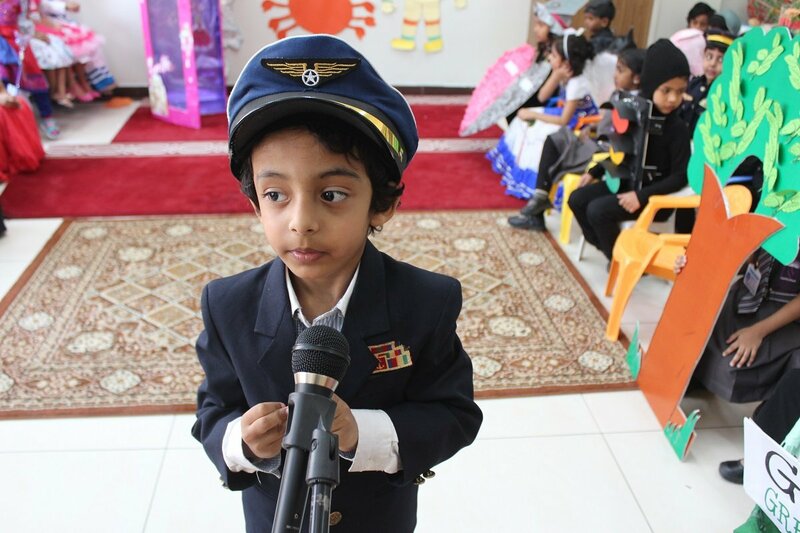 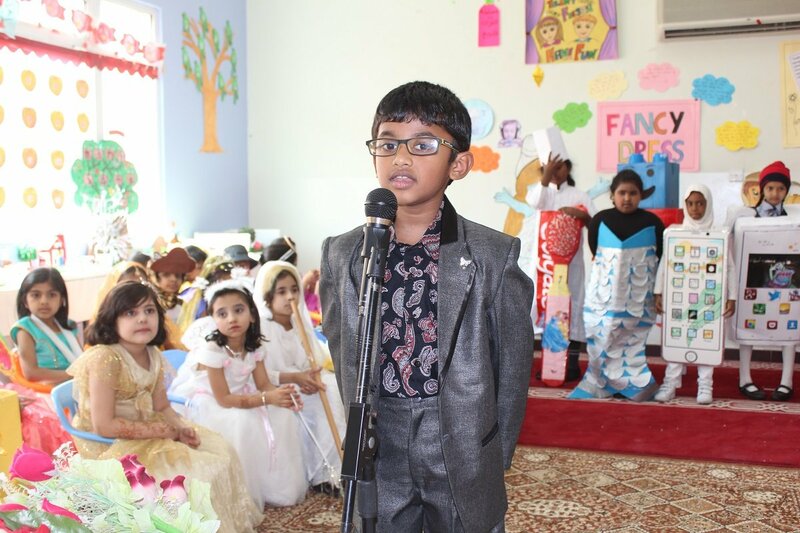 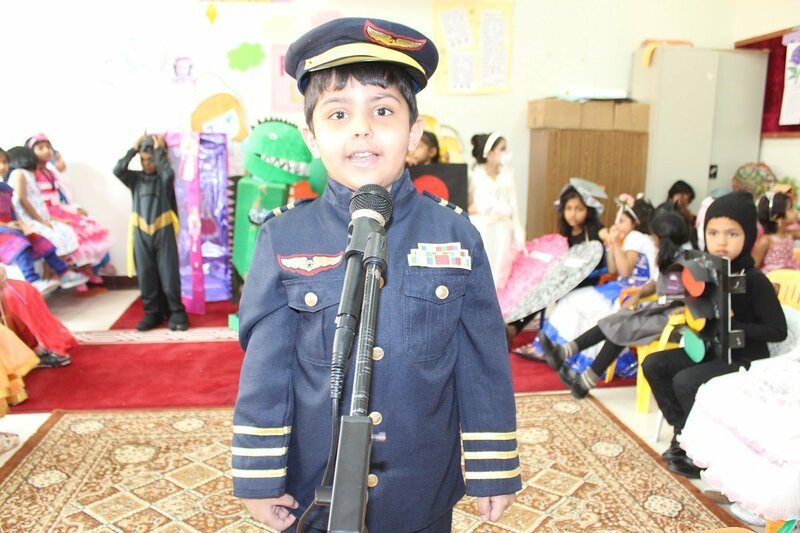 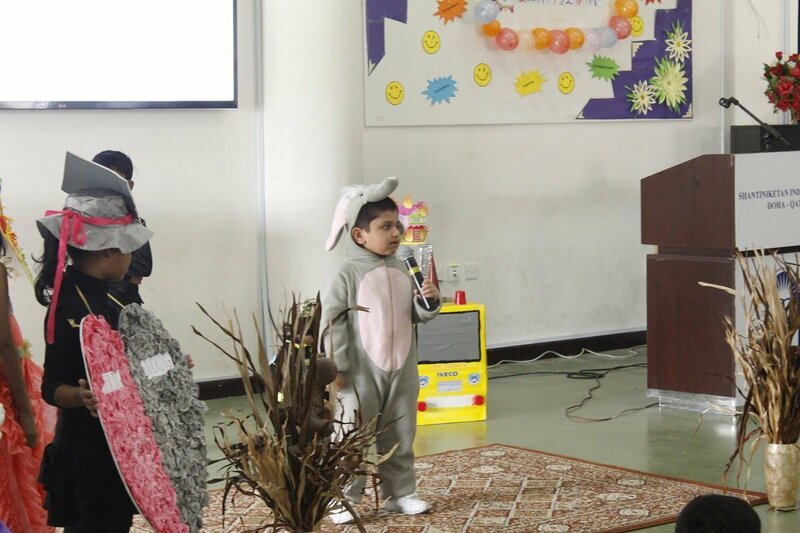 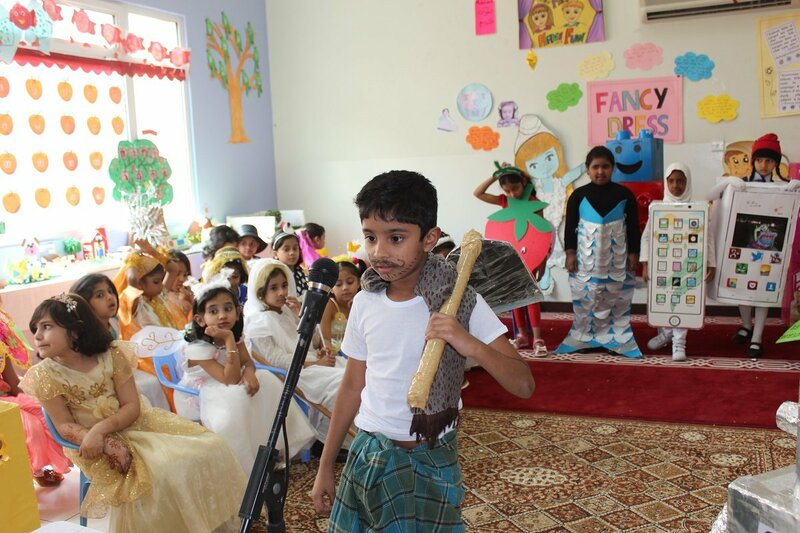 Master Jazeel with his exemplary performance casted a magical spell and enlivened the entire campus. 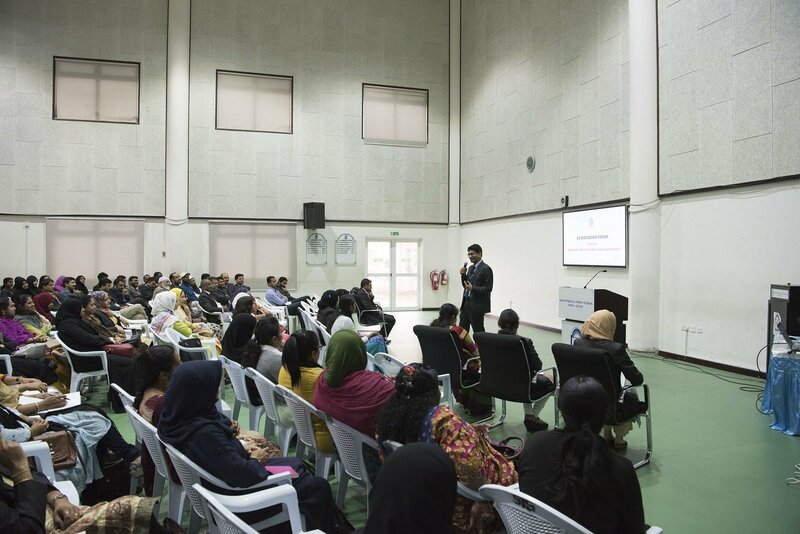 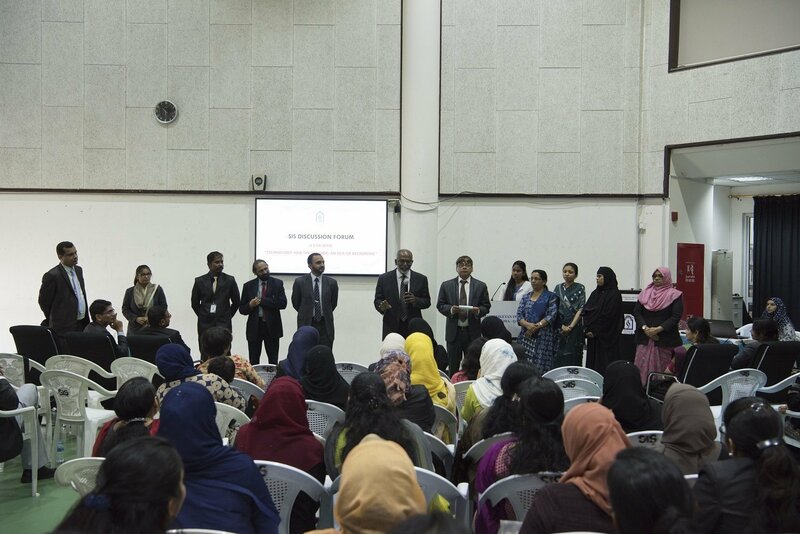 Passionate, well prepared and confident speakers marched off to the venue on 8th October, 2015 to exhibit their eloquency, proficiency and competency in their verbal skills. 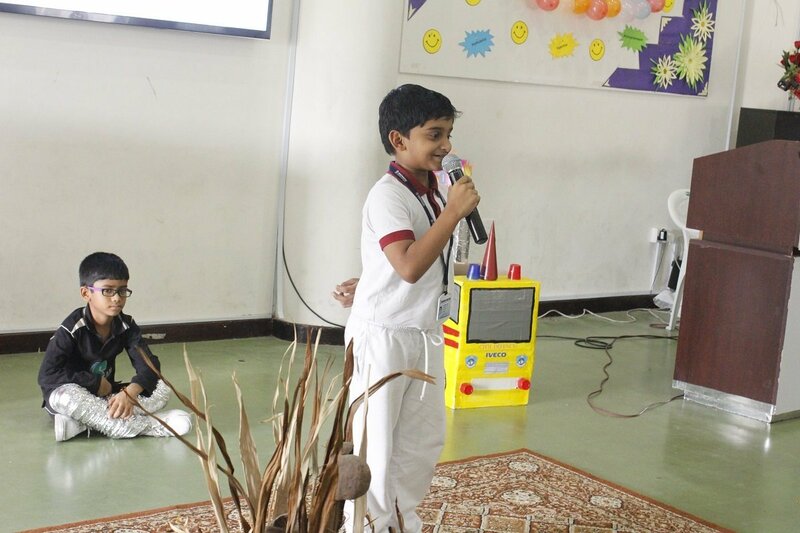 The budding orators startled the audience with powerful opening, conversational tone and by incorporating appropriate body language. 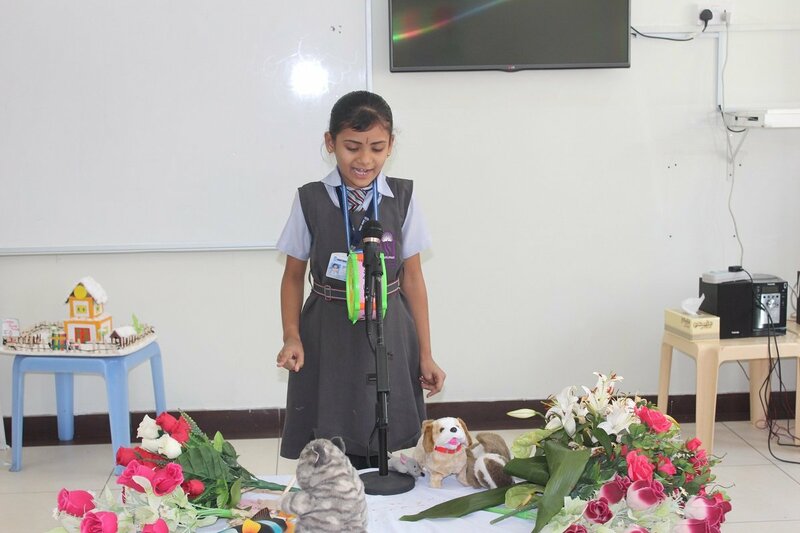 Inspiring and enlightening speeches were delivered in an effective, impactful and effectual manner making it extremely tough for the judges to decide the winners. 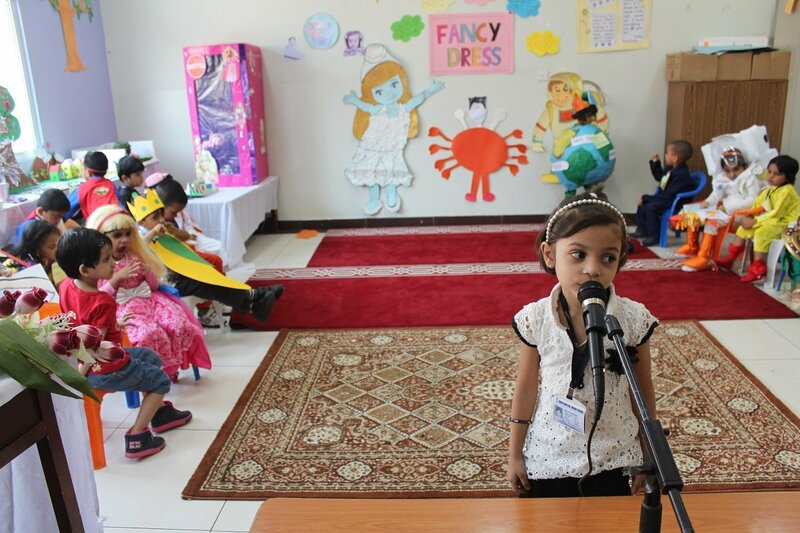 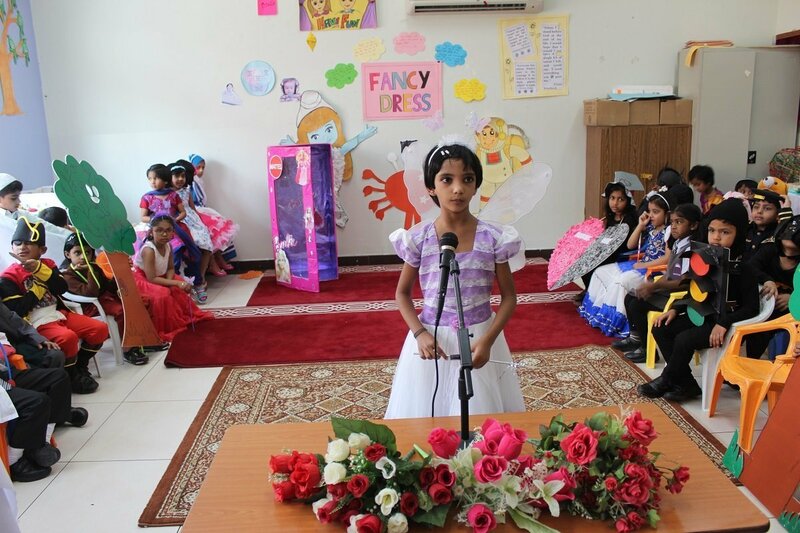 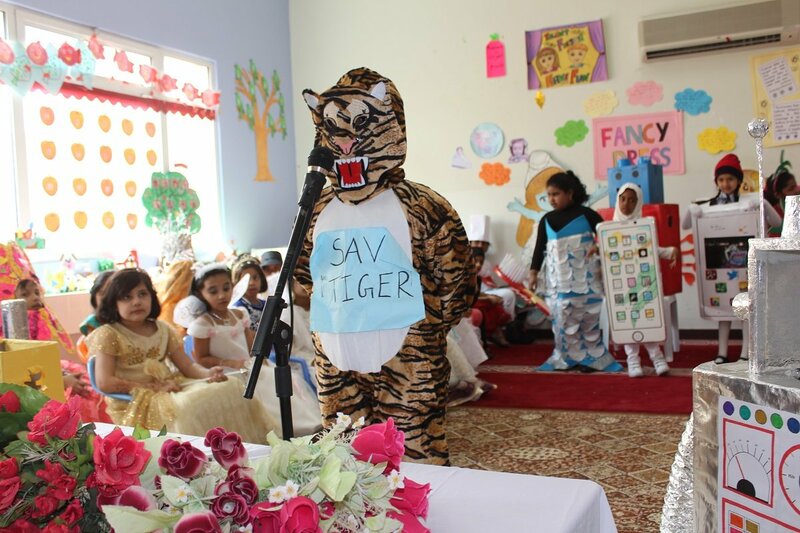 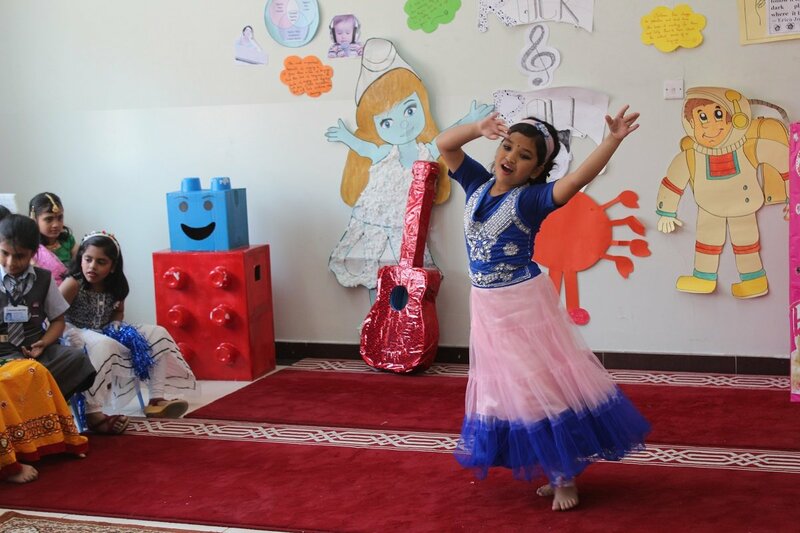 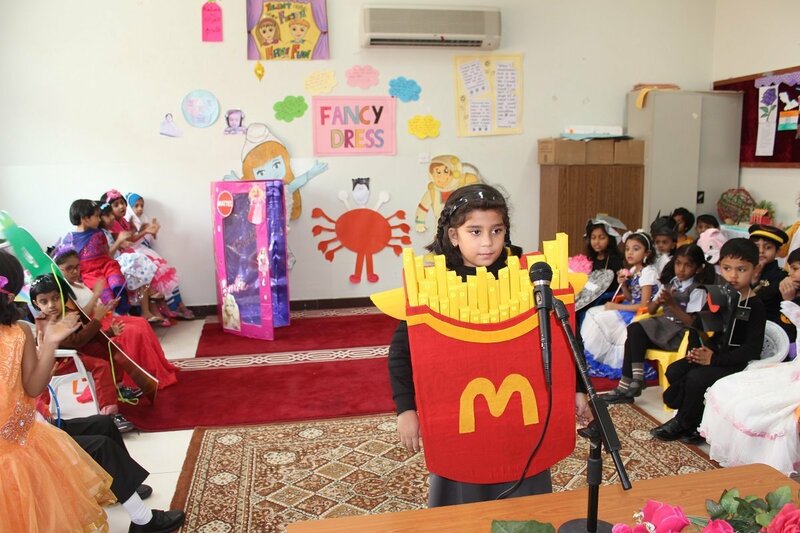 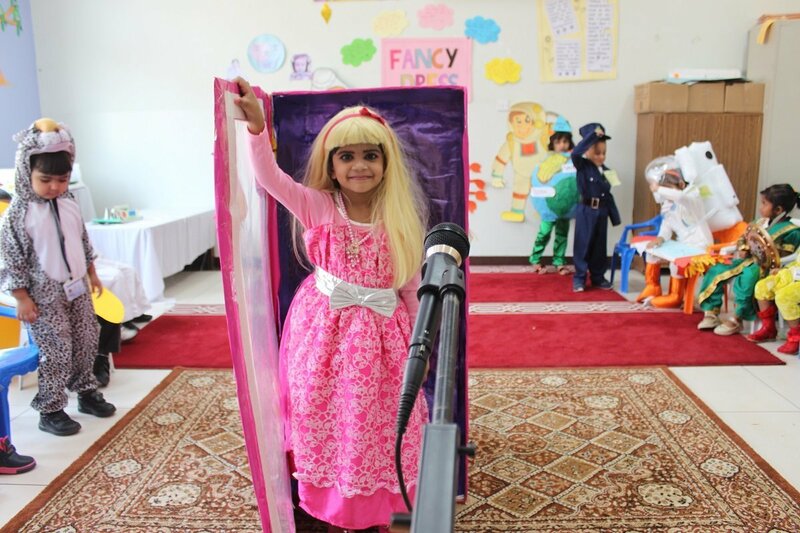 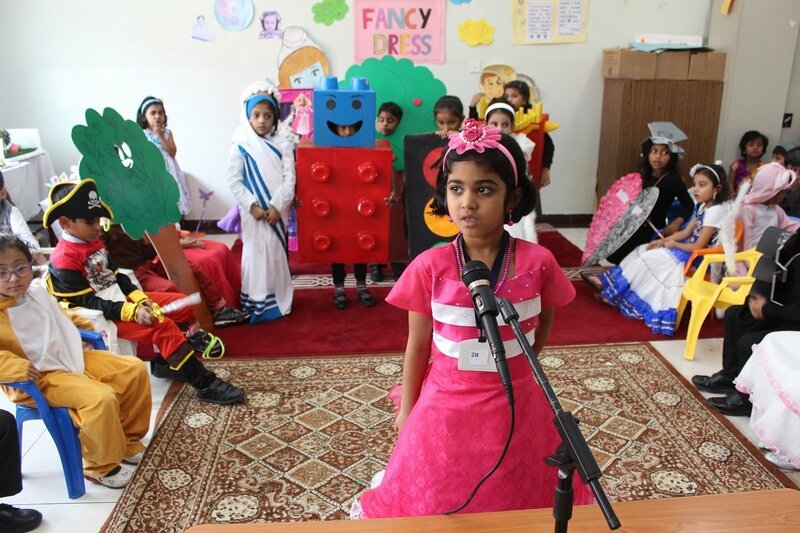 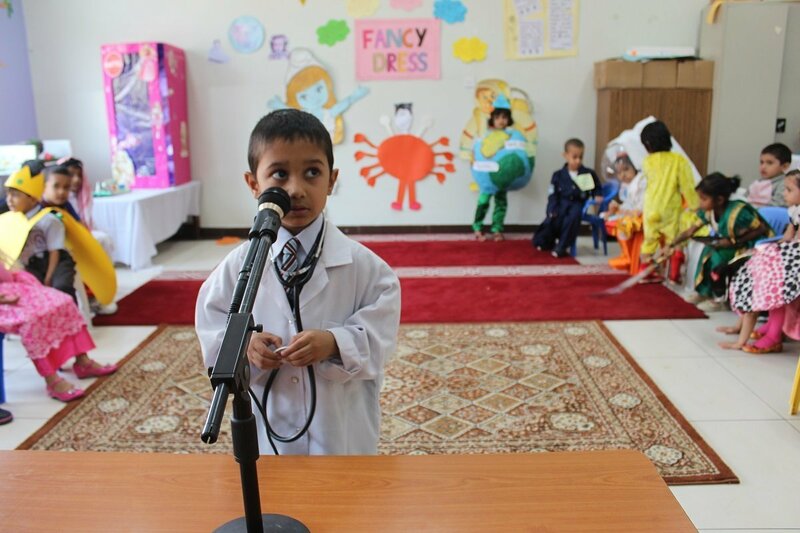 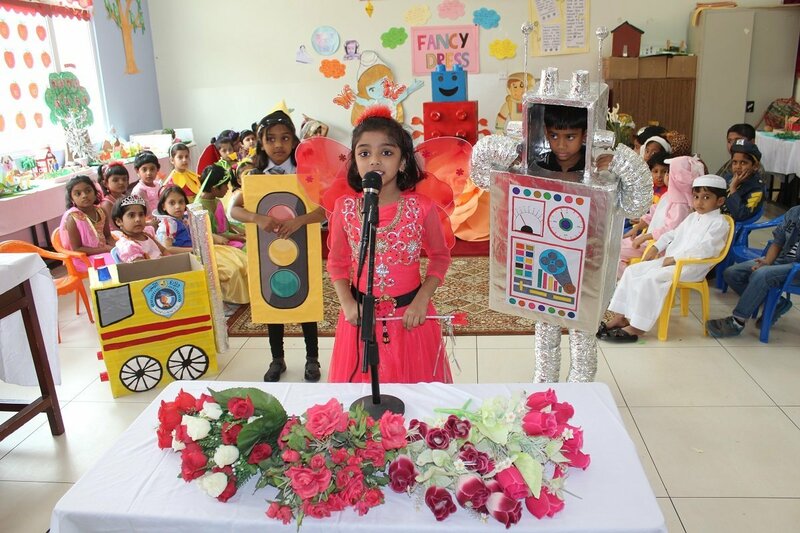 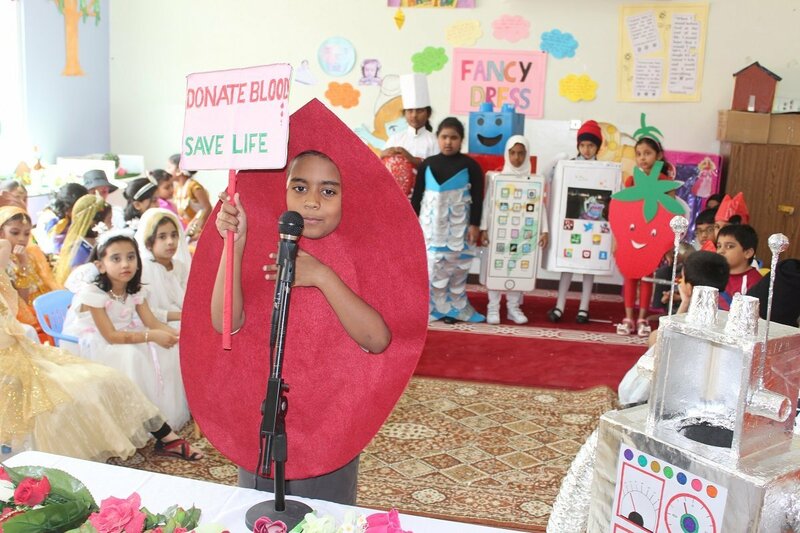 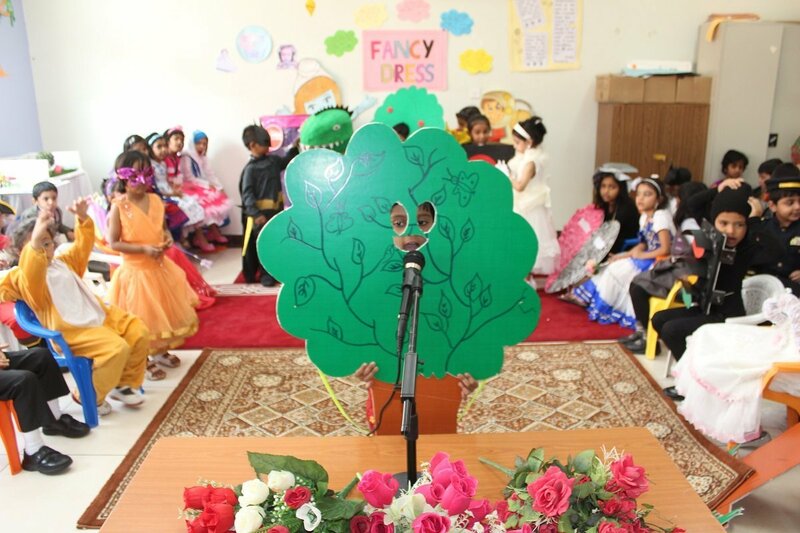 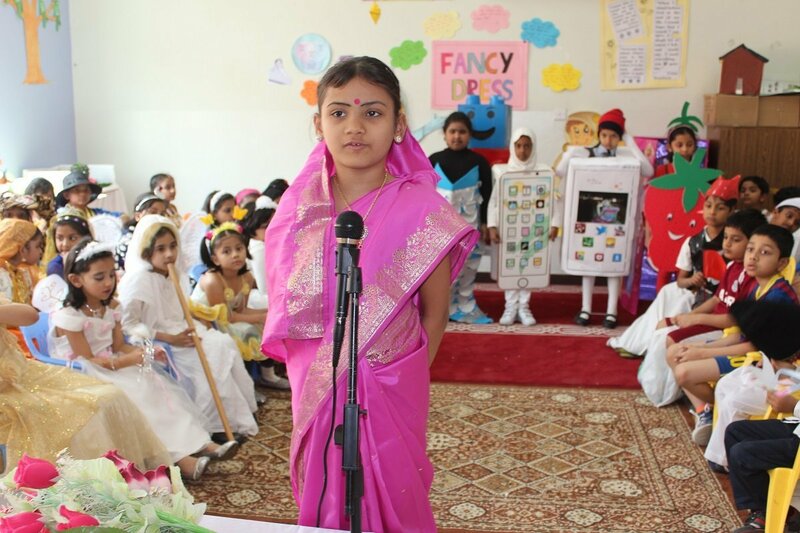 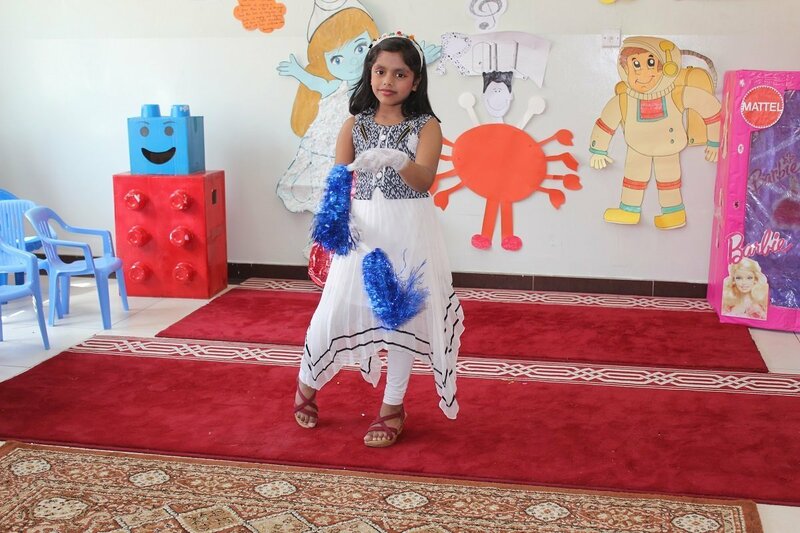 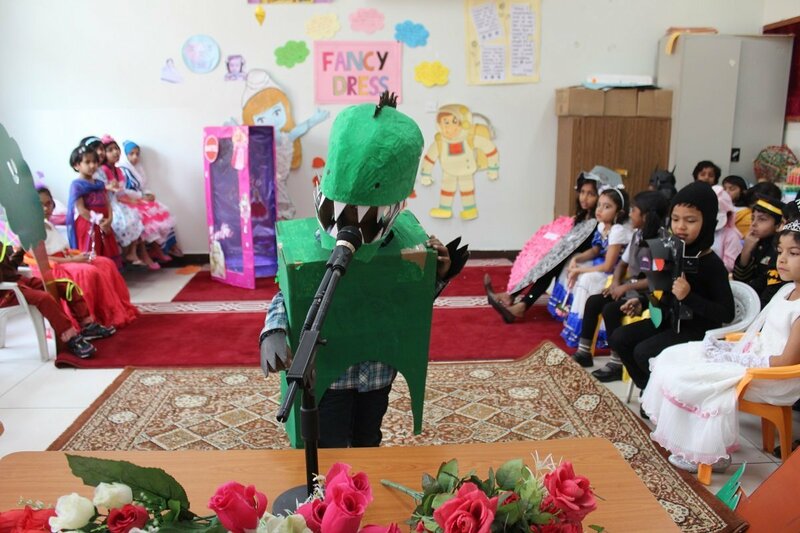 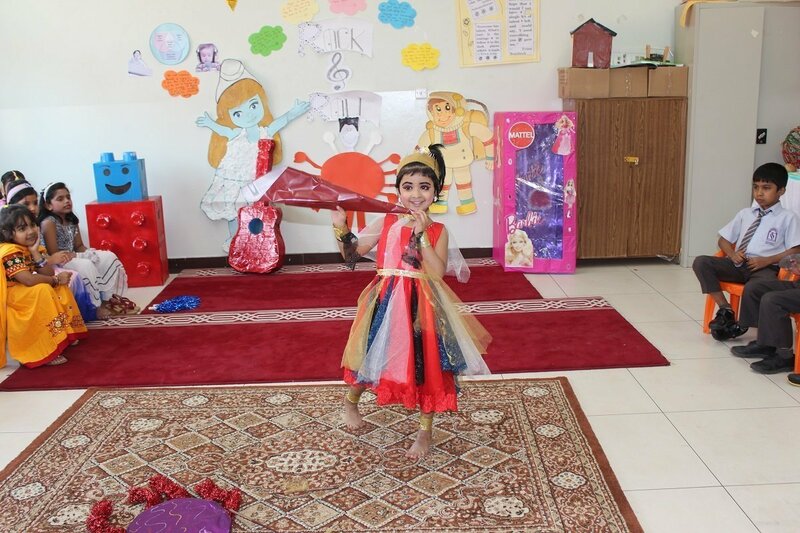 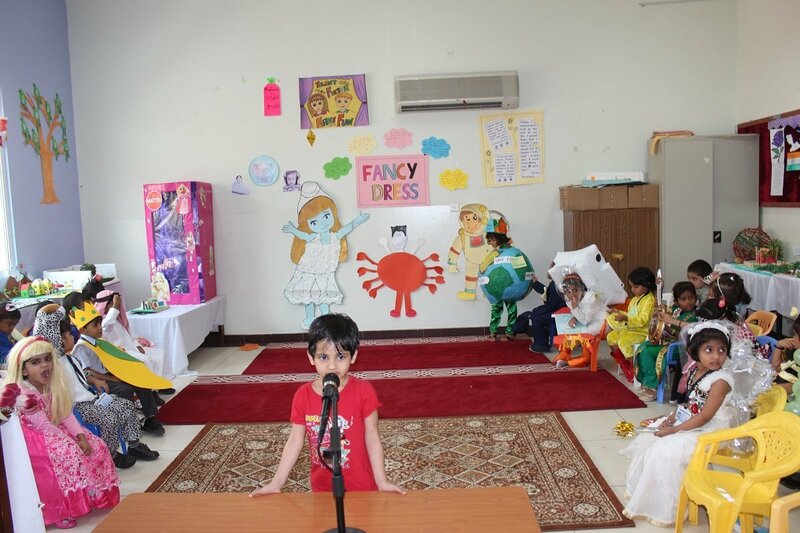 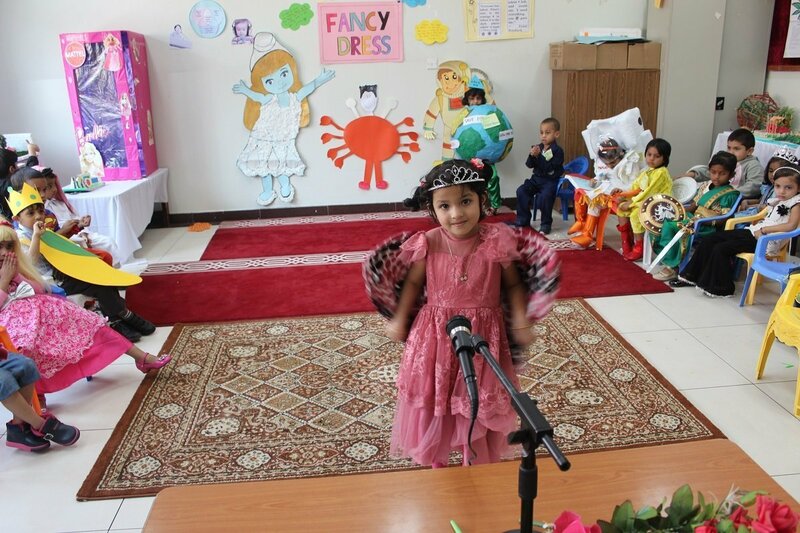 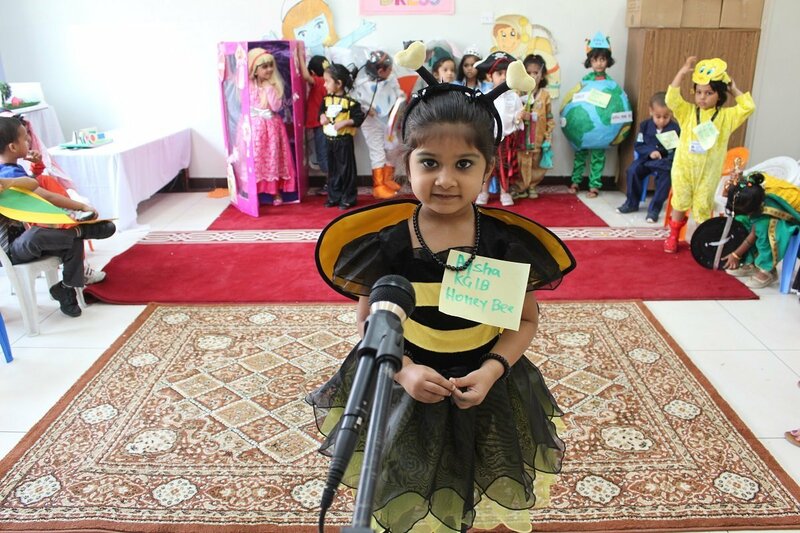 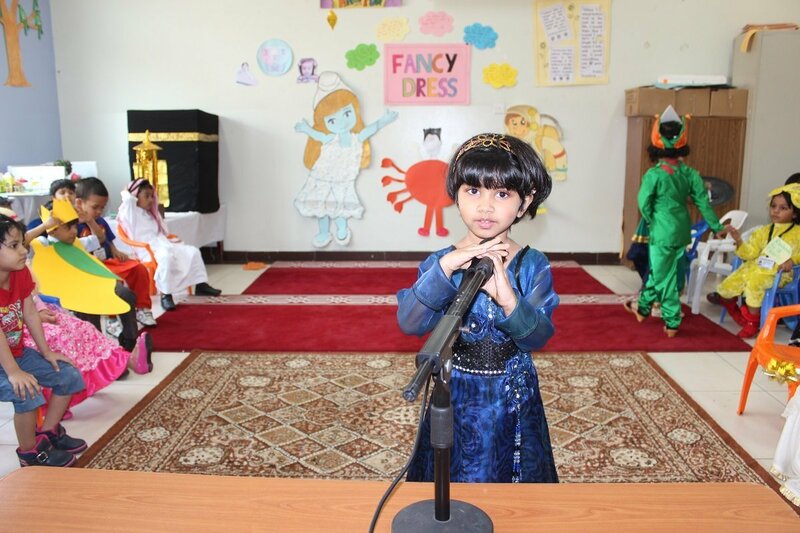 A sense of accomplishment, pride and joy radiated from the faces of the Headmistress, Mrs. Mehjabeen Hasan and her team when they saw the little ones making an indelible impression on the audience. 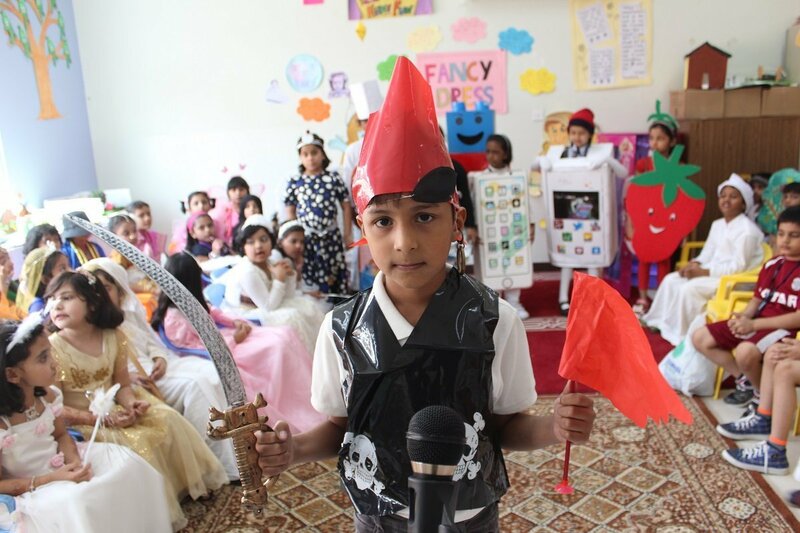 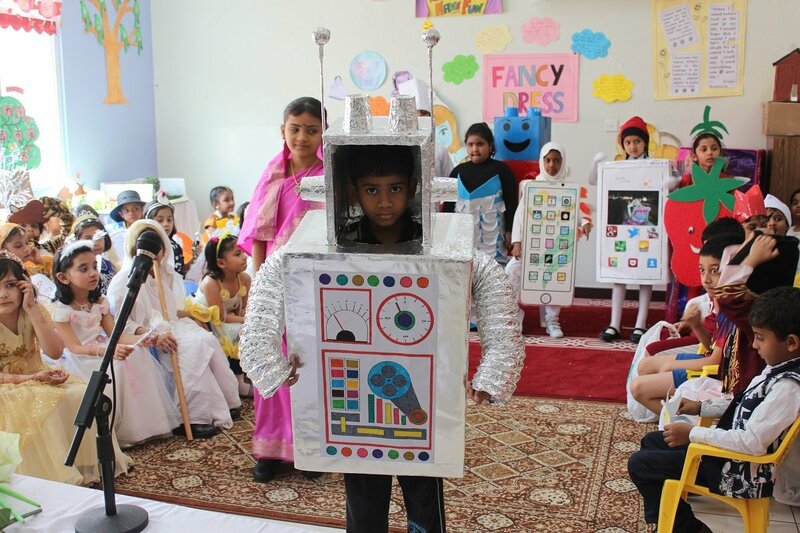 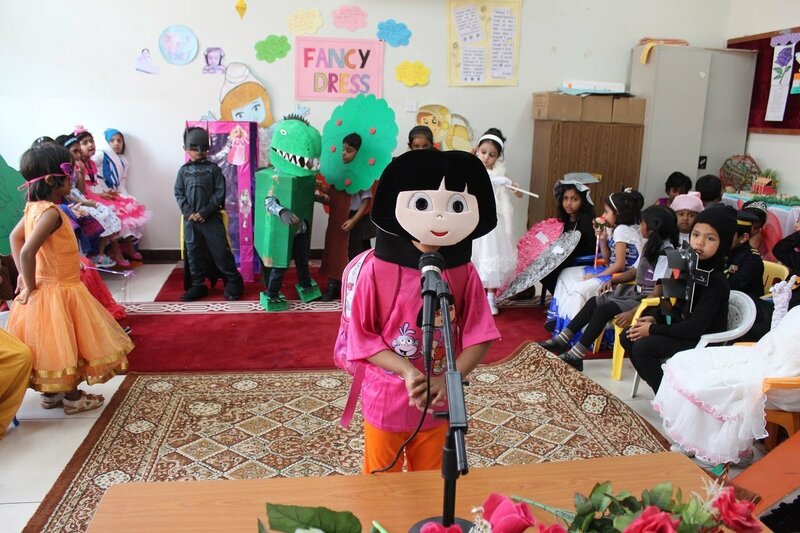 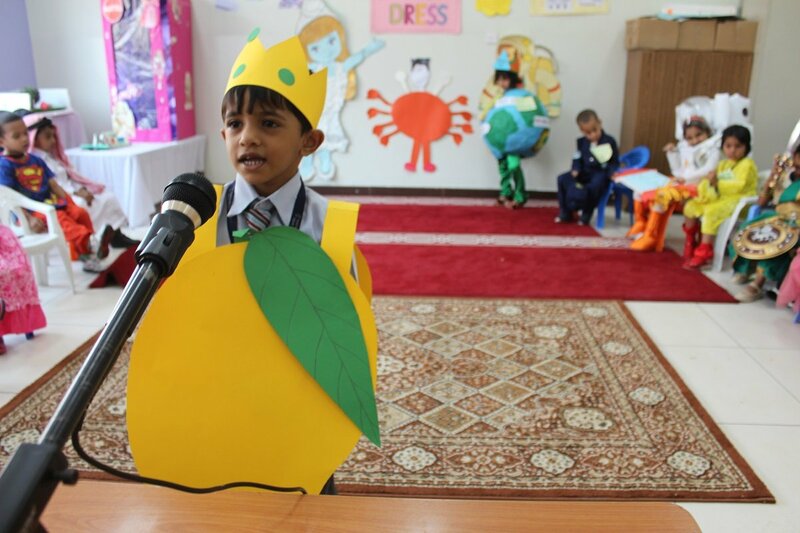 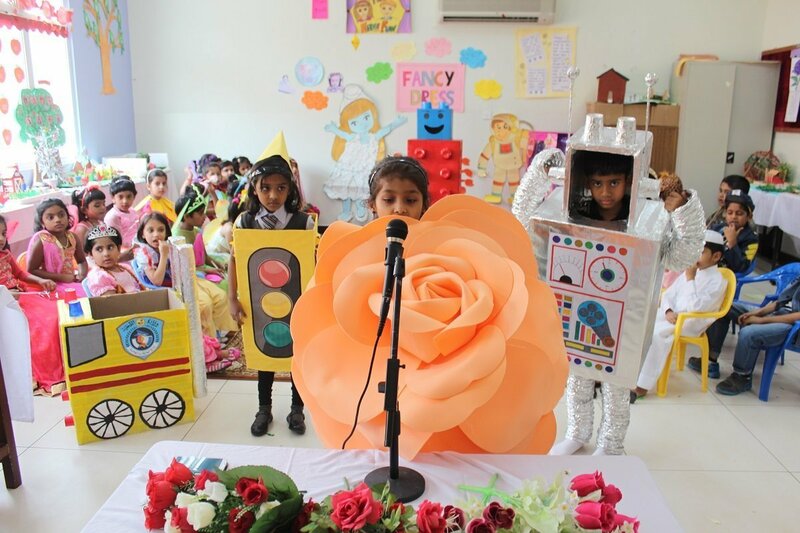 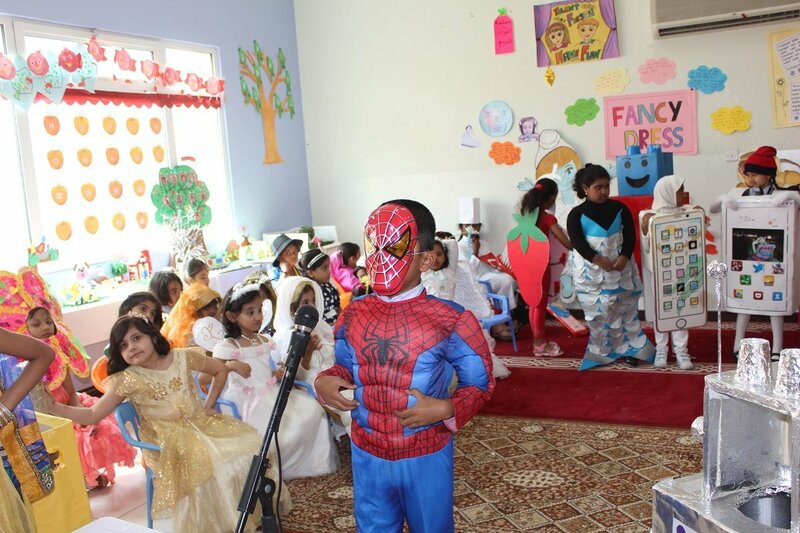 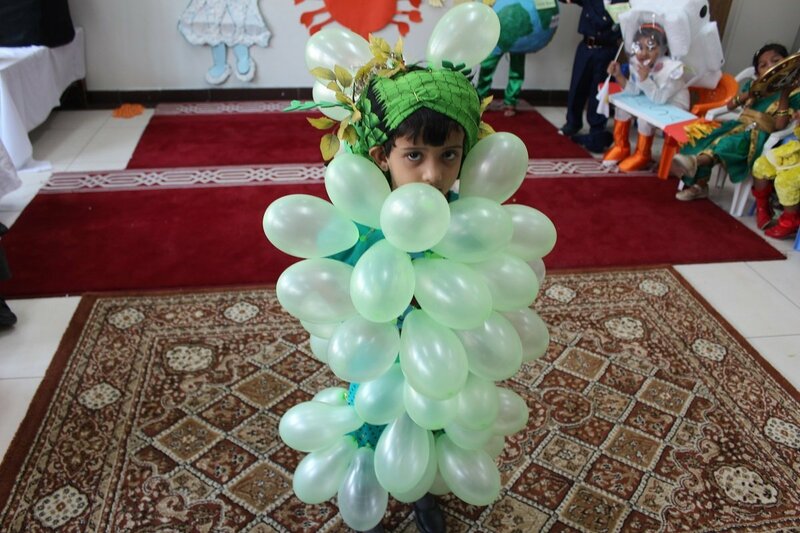 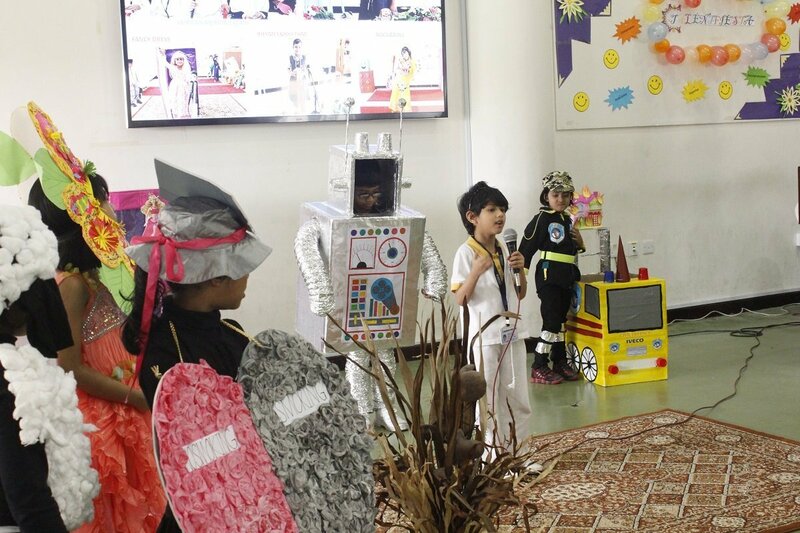 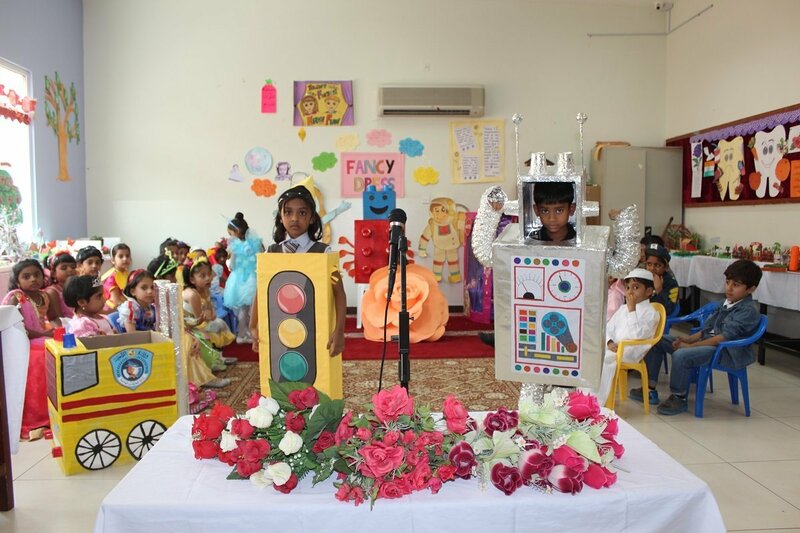 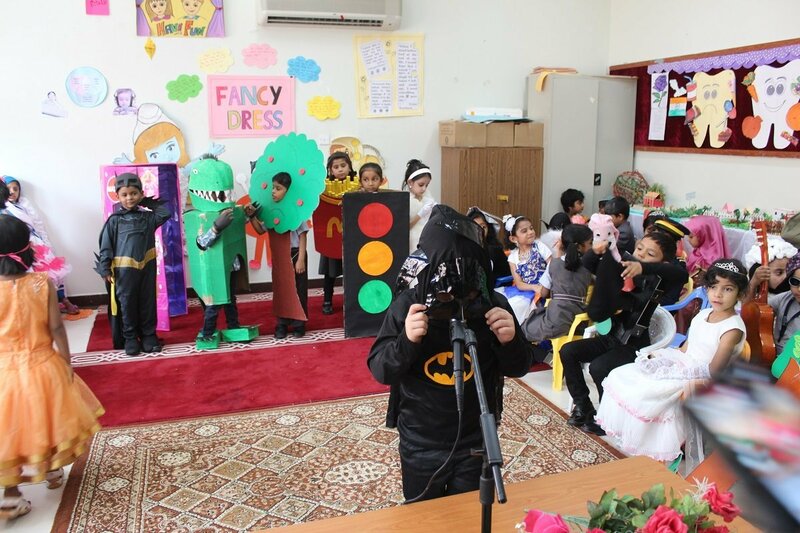 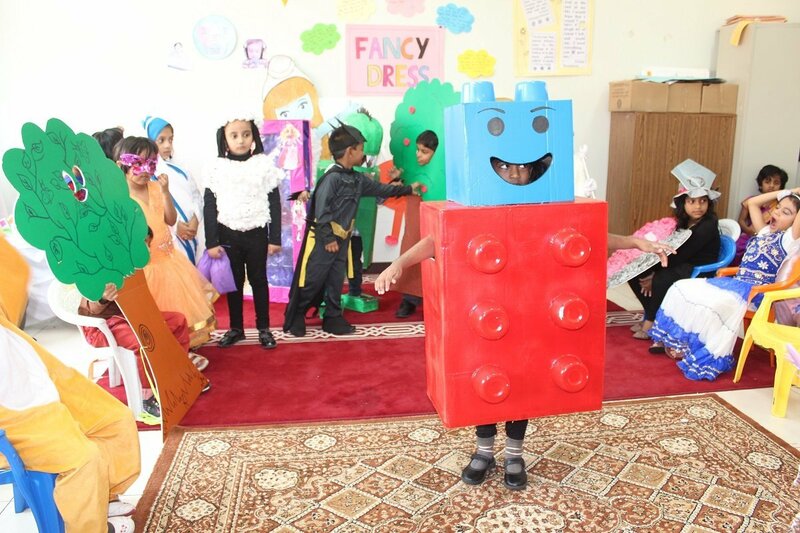 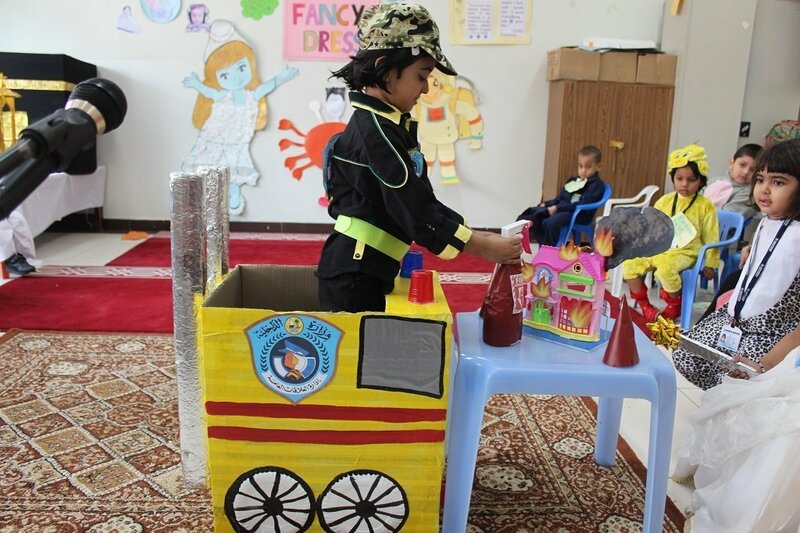 The competition brought an amiable ambience and the diligent efforts made by the parents was evident in the costumes of some of the children. 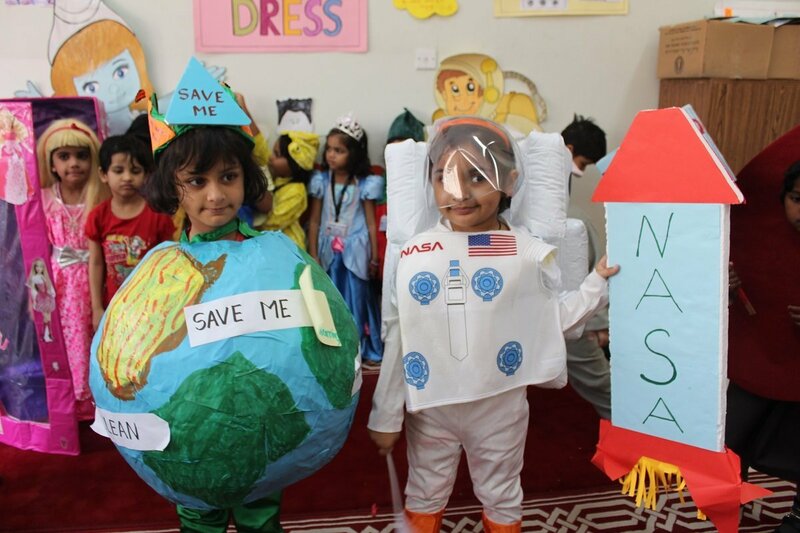 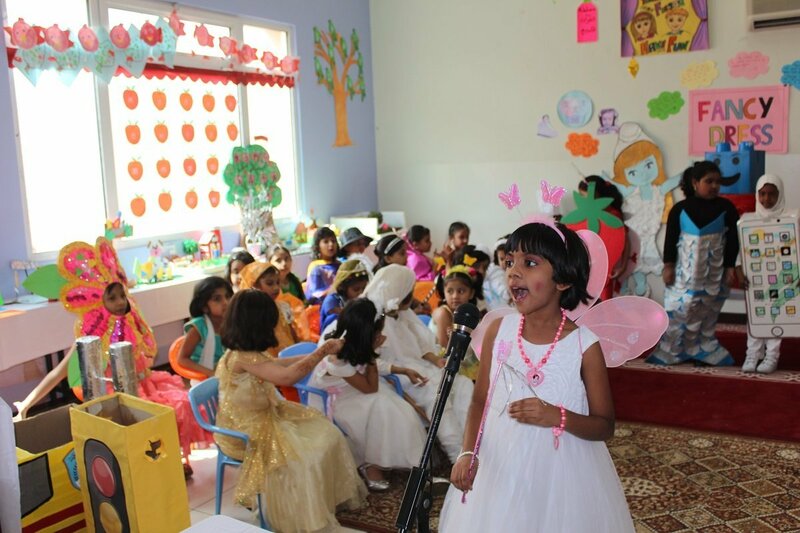 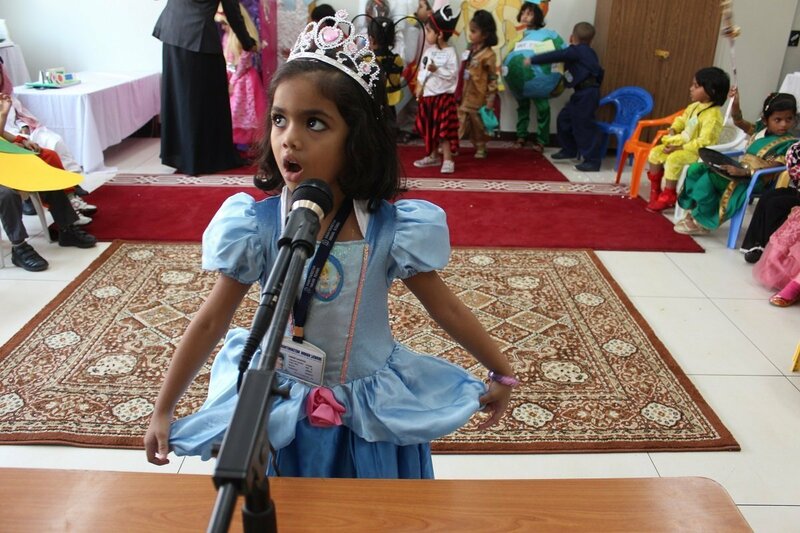 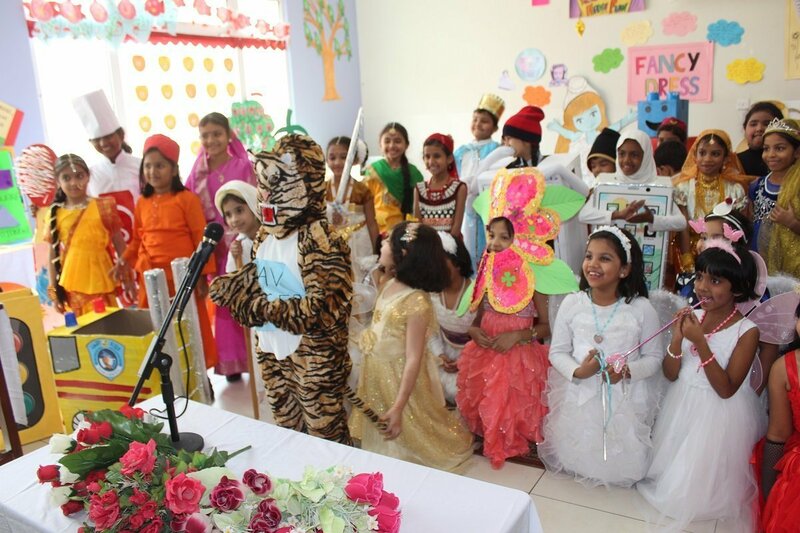 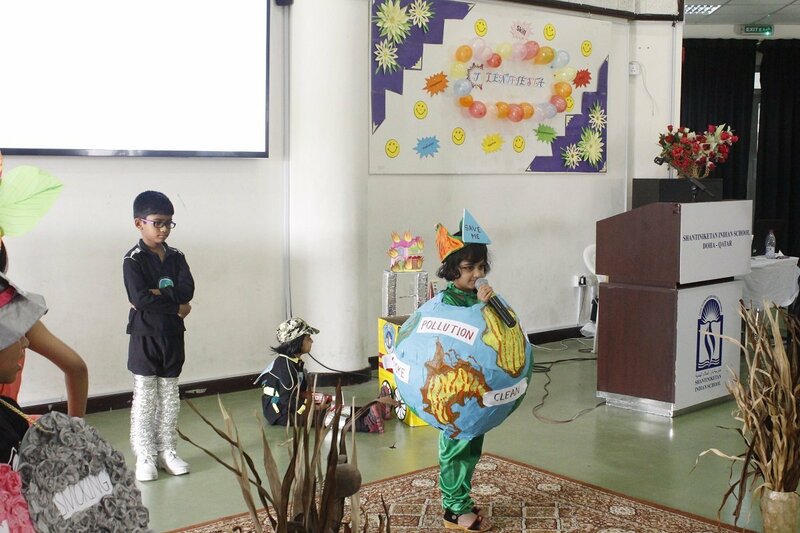 The enthusiasm and zeal with which the children participated and performed was extremely commendable. 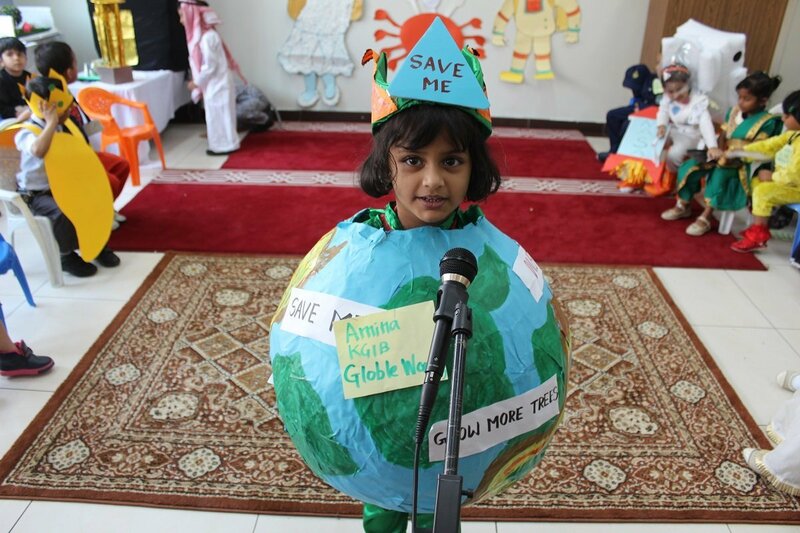 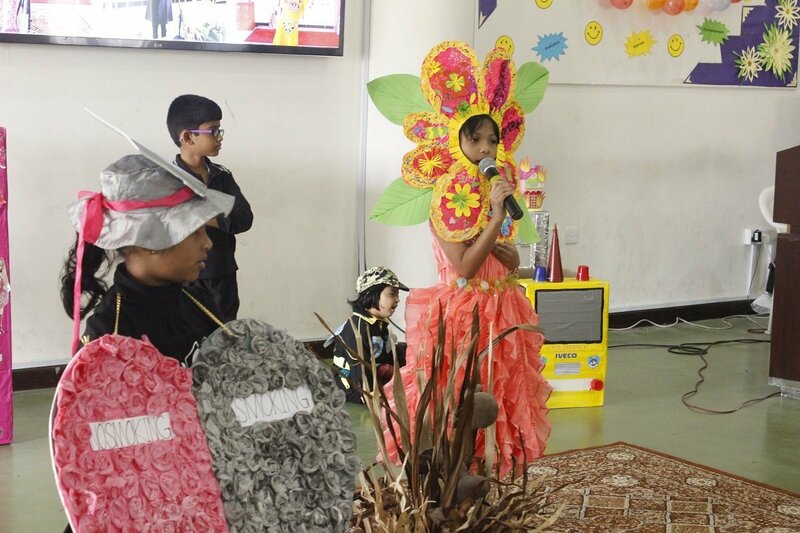 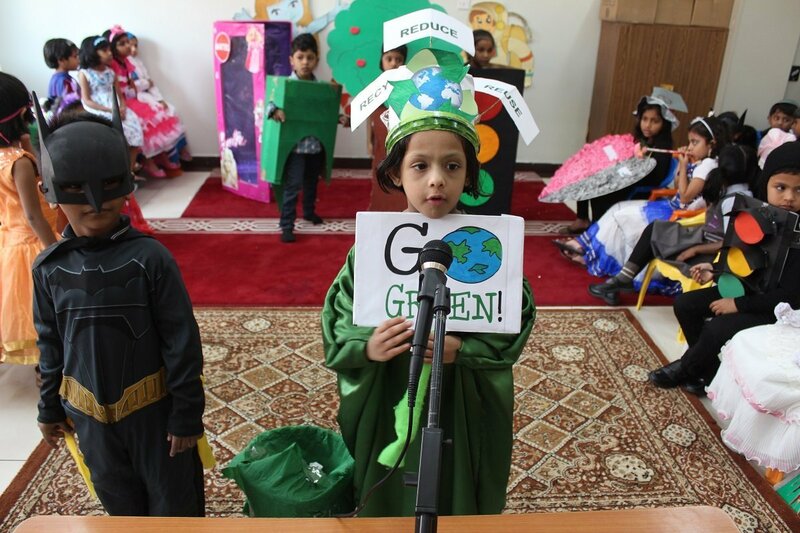 The young ones came up with a lot of interesting themes with messages – ‘Reduce pollution & Save the Planet’, ‘Protect Nature, ‘Donate blood & Save Life, ‘Go Green’ etc. 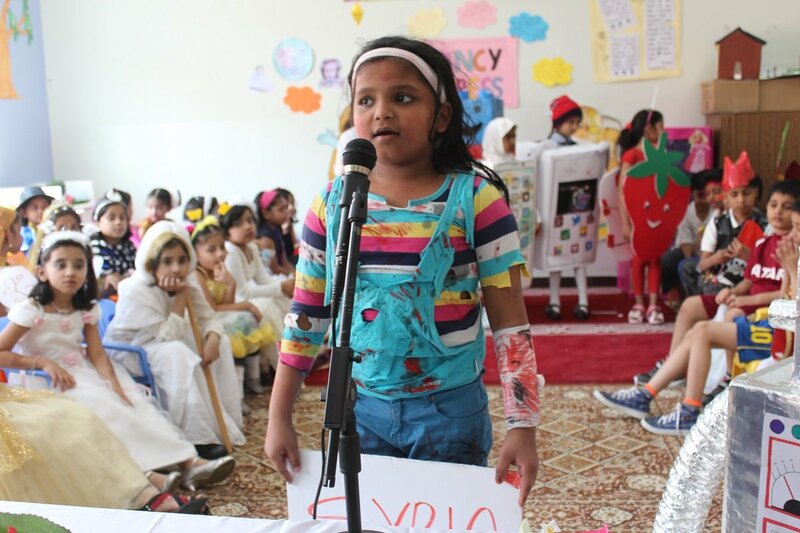 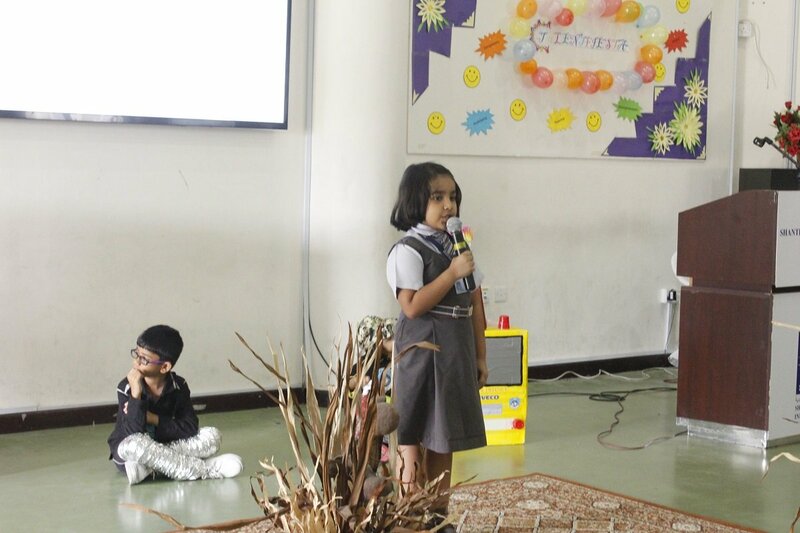 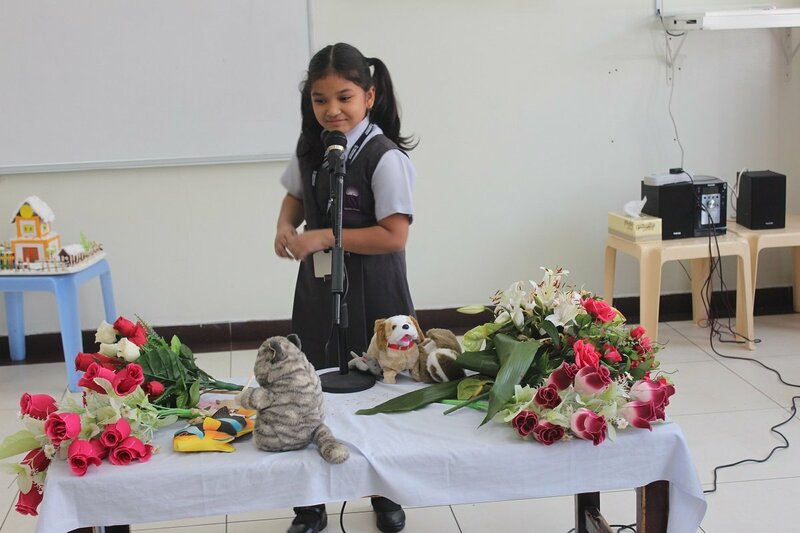 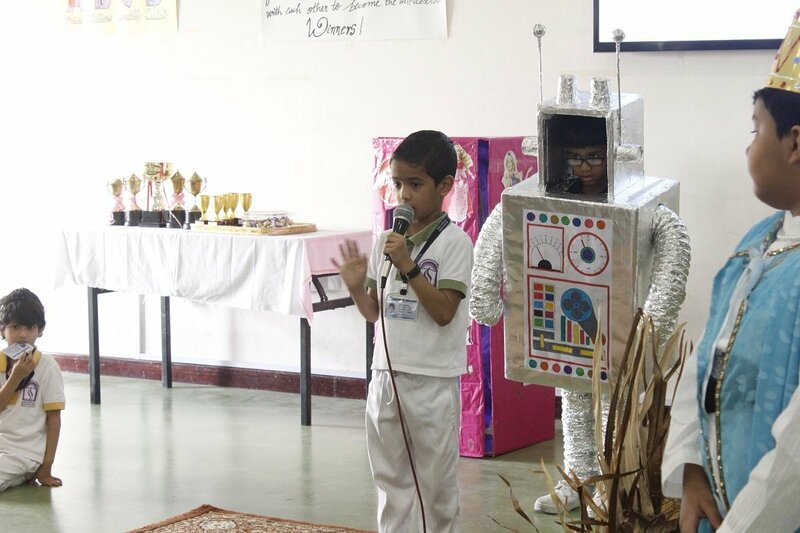 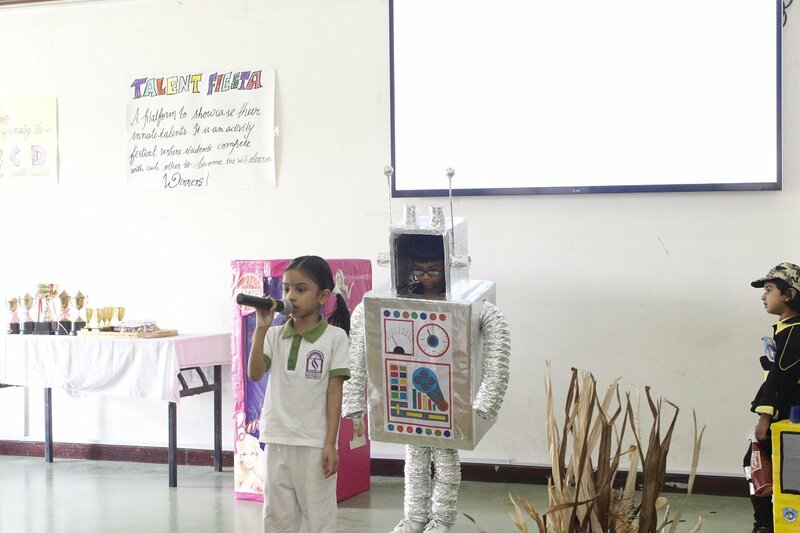 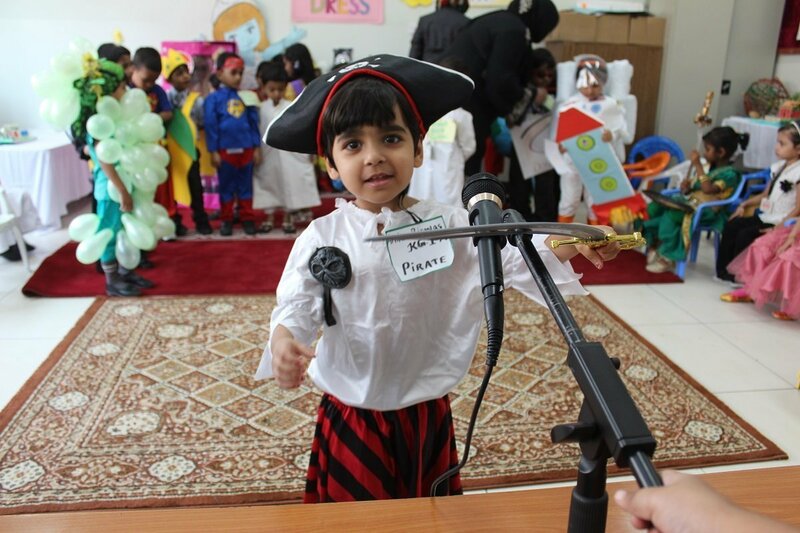 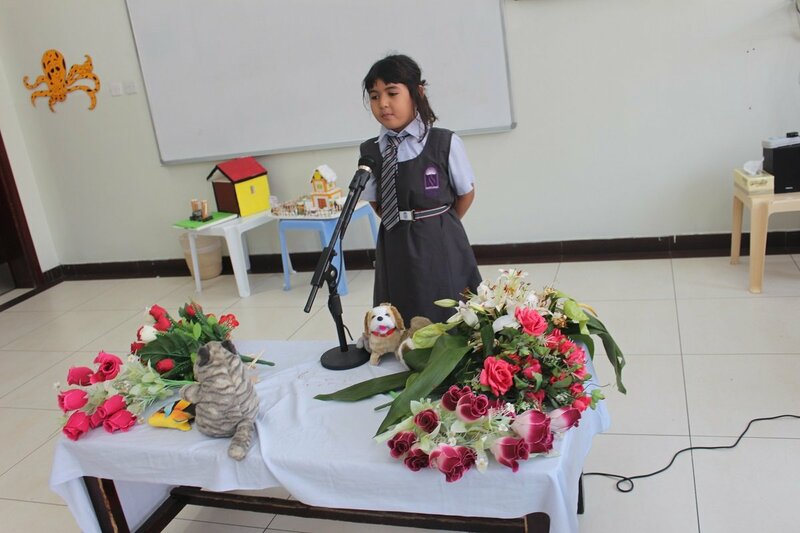 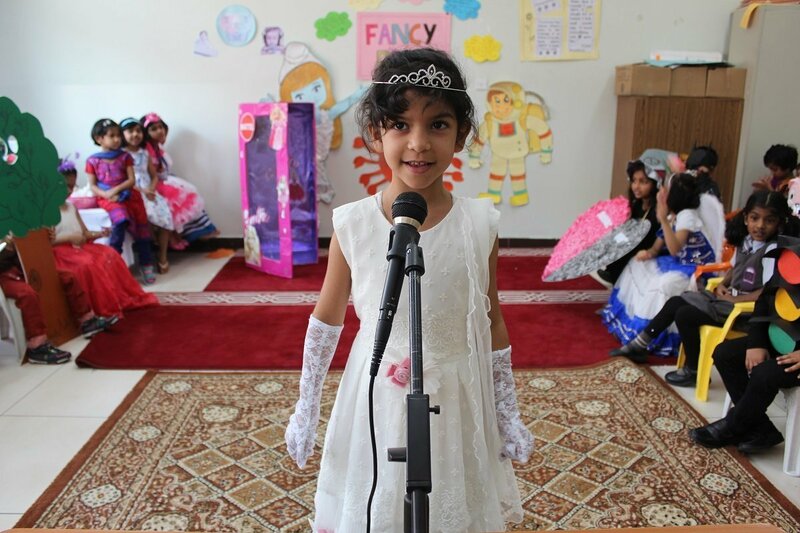 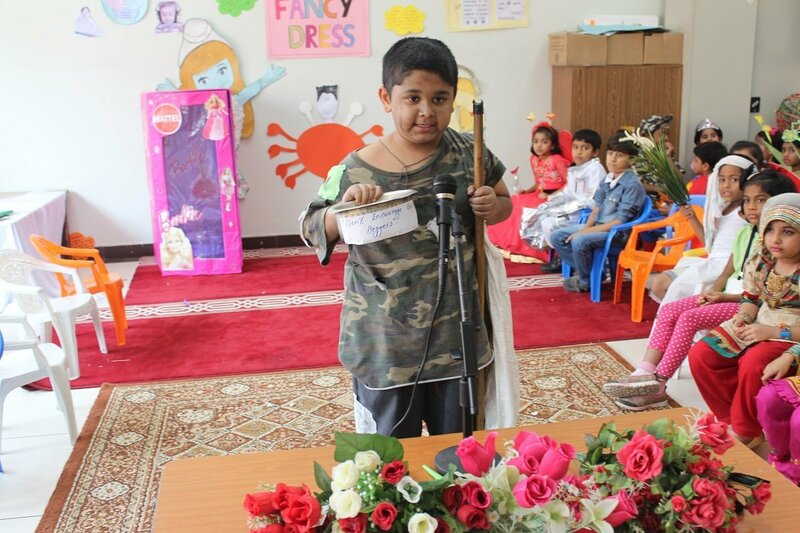 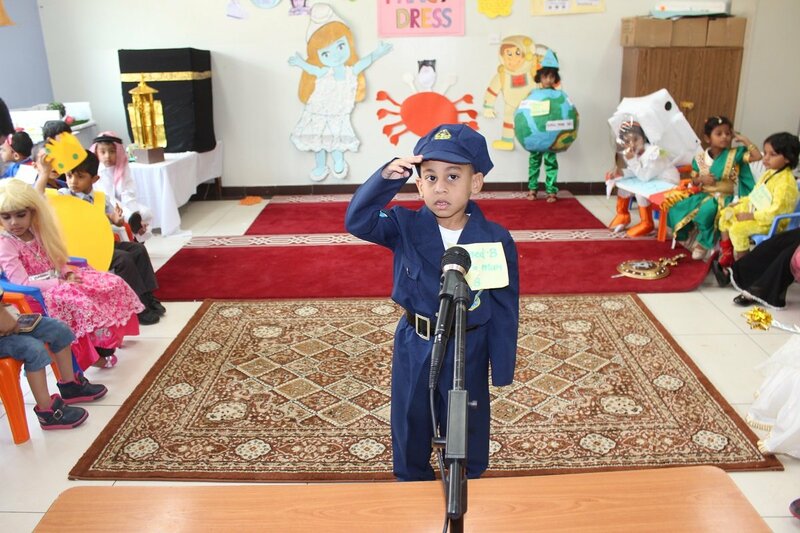 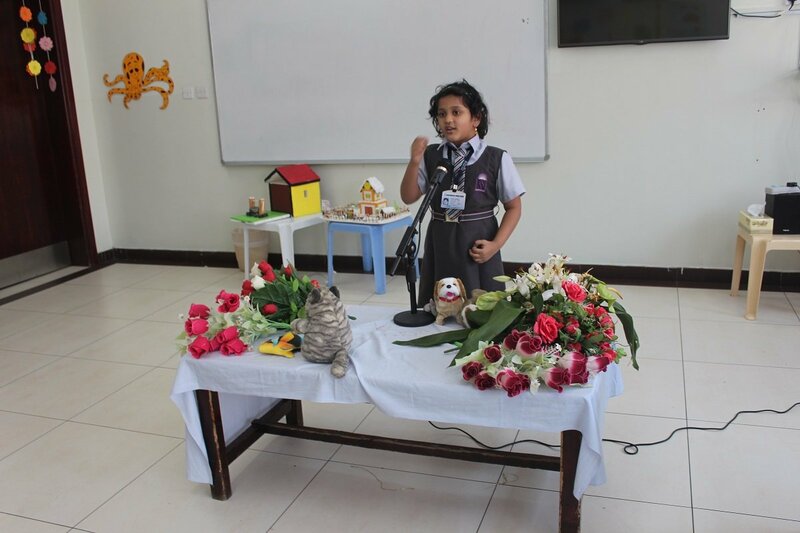 A determined attempt was made to blend learning with fun and to develop confidence in the students by giving them an opportunity to get on the stage and speak in front of an audience. 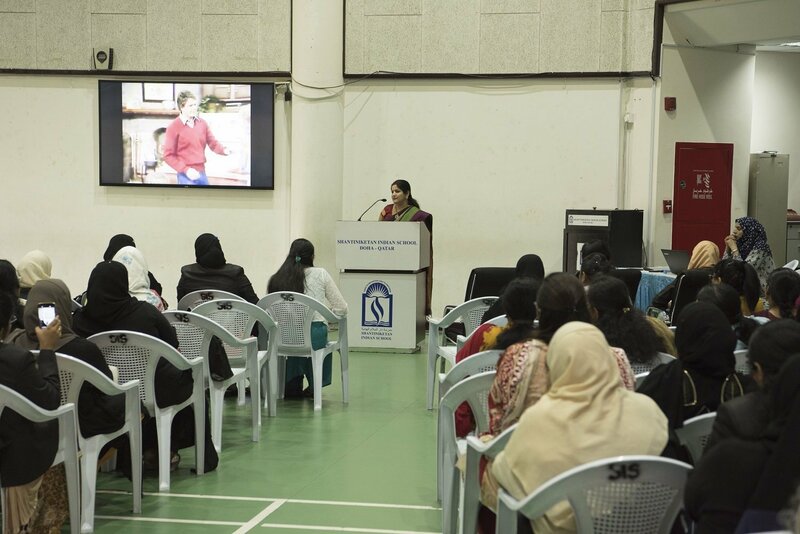 The programme concluded with a speech by Headmistress, Mrs. Mehjabeen Hasan. 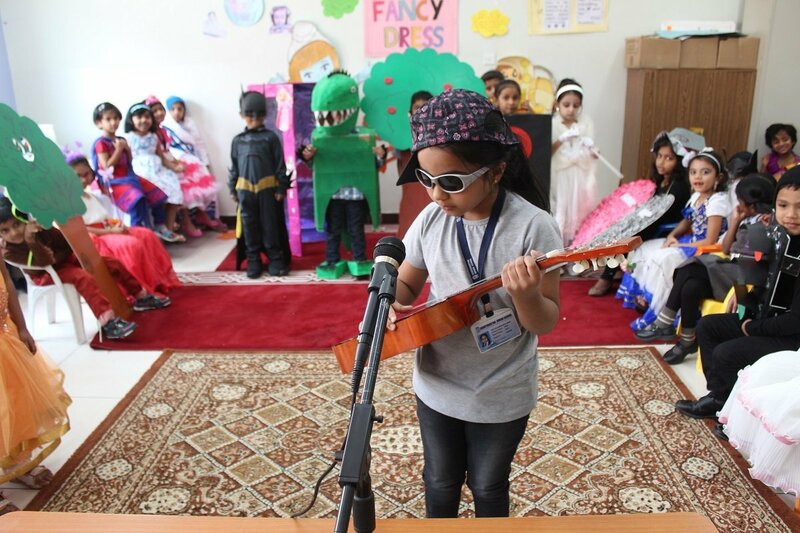 She stated that “Creativity is inventing, experimenting, growing, taking risks, breaking rules, making mistakes and having fun”. 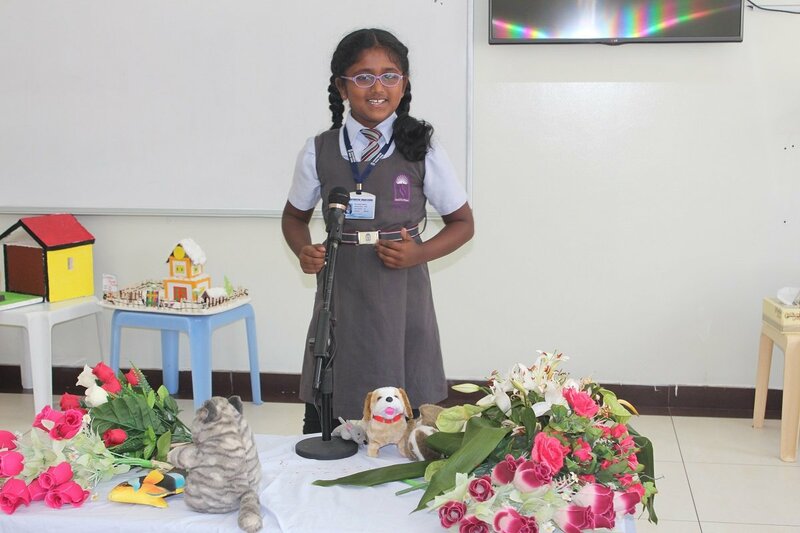 She congratulated the winners and thanked the parents for their support. 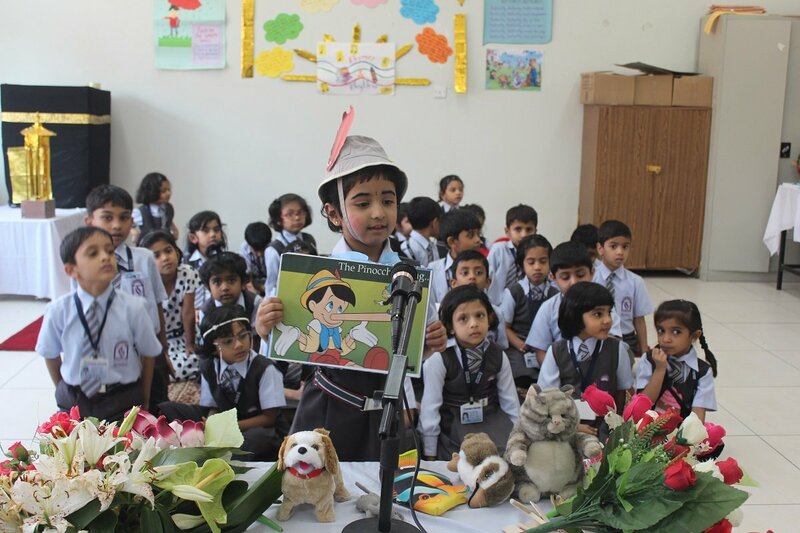 It was indeed a mesmerizing event which would be etched in our memory for a very long time. 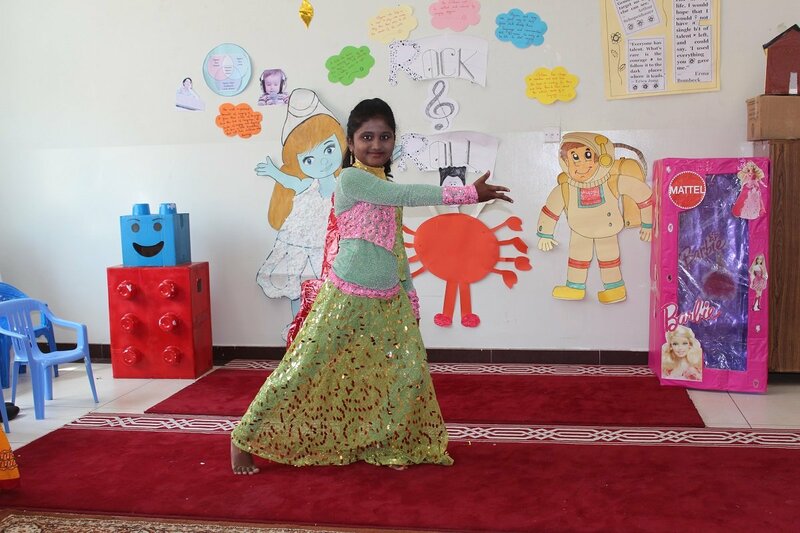 Vibrant and exotic dancers filled the air with excitement and vigor with their energetic performance. 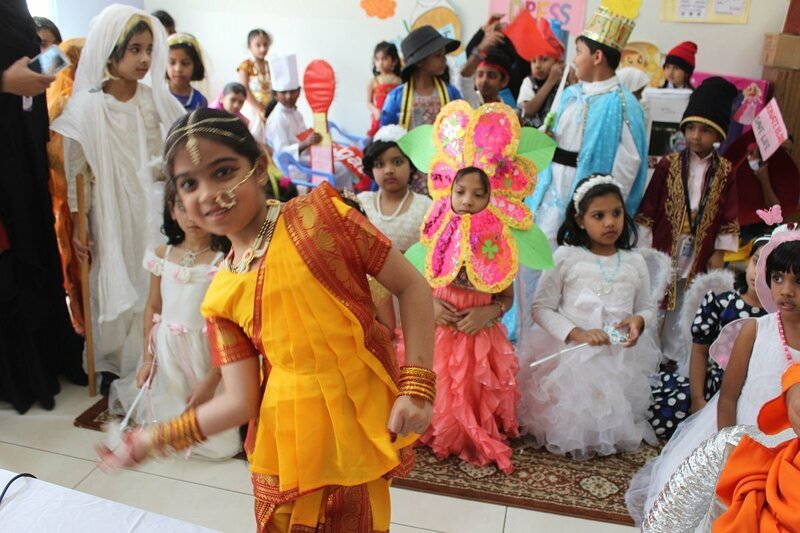 The fun filled extravaganza offered a variety of dance forms well-choreographed and elegantly synchronized. 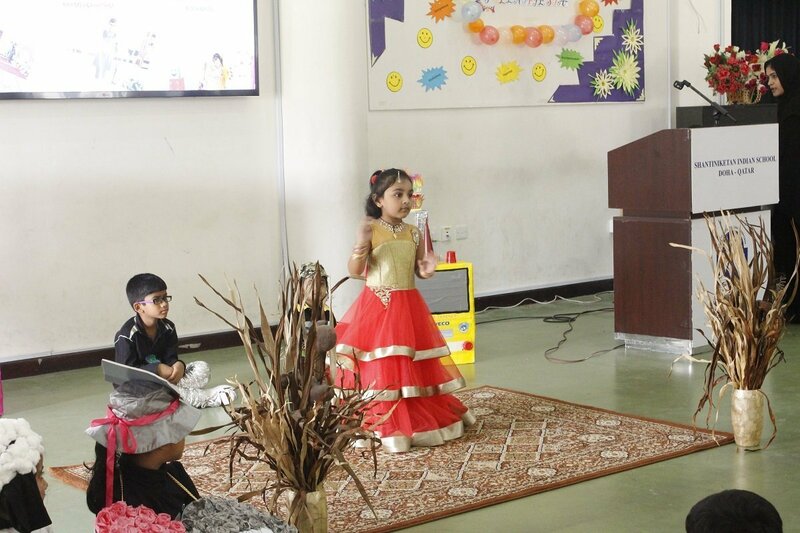 The spectators bore witness to the enthusiasm and energy of the young budding stars as they enthralled everyone with their splendid performance. 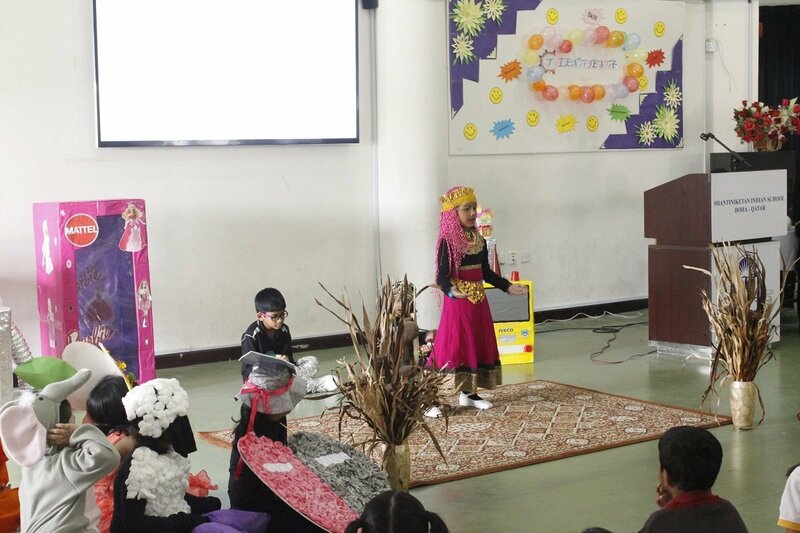 It was indeed a platform to promote the talents and bring to fore front the true form of this divine expression. 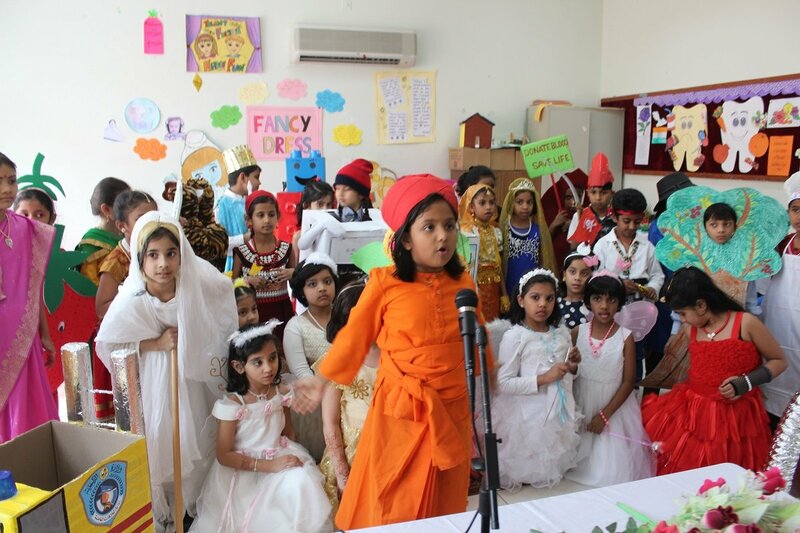 Headmistress, Mrs. Mehjabeen Hasan highlighted the need of academic excellence to be in par with the cultural excellence in showcasing ones talent. 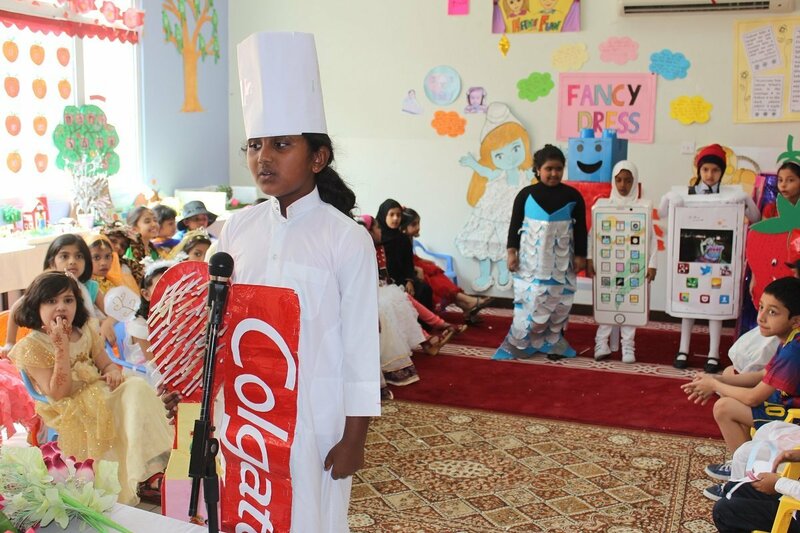 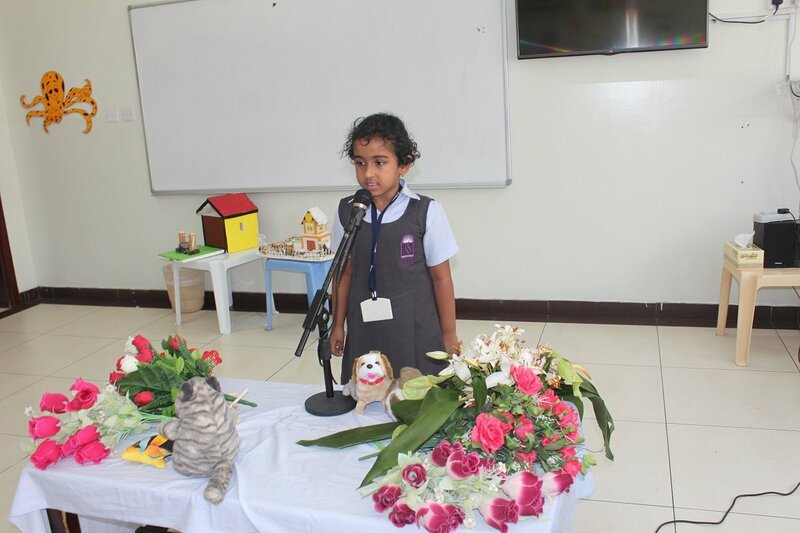 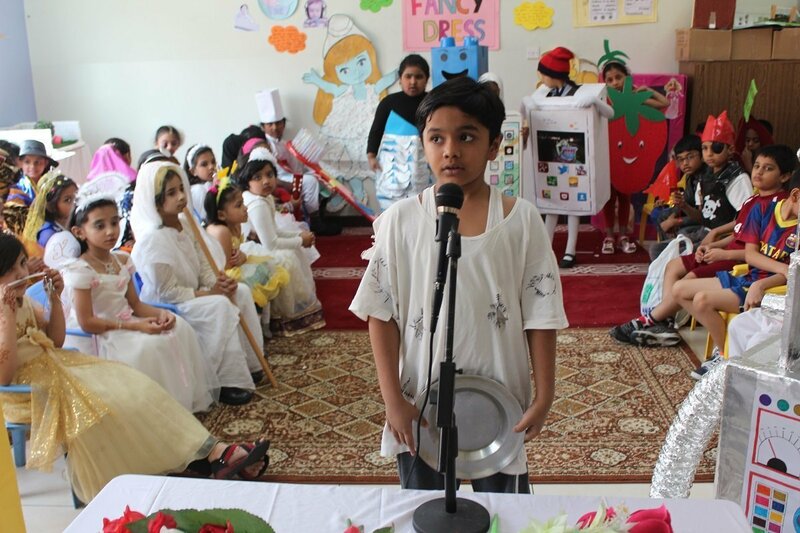 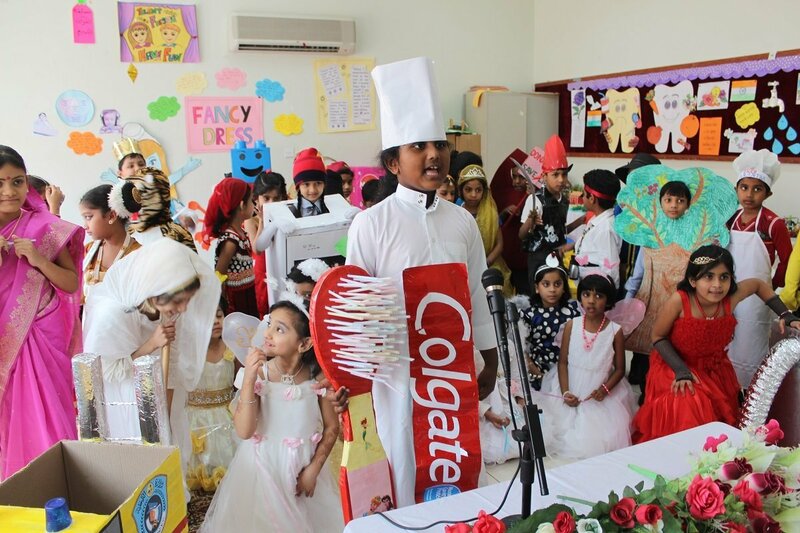 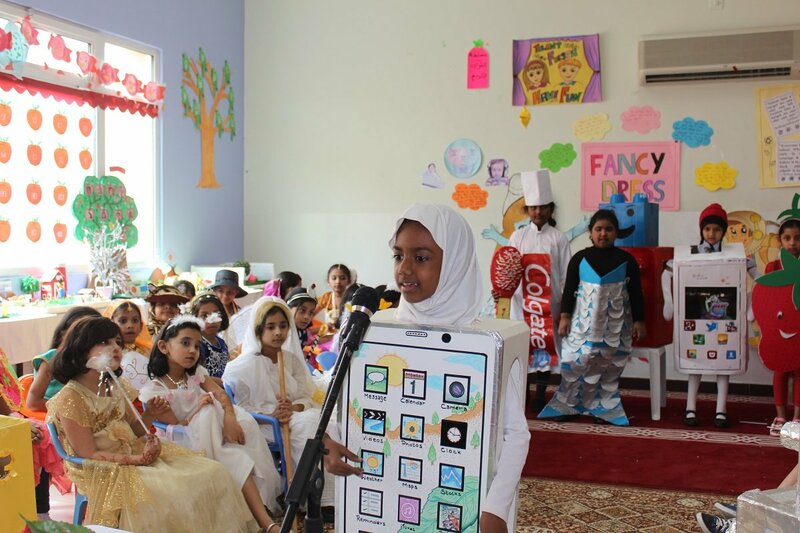 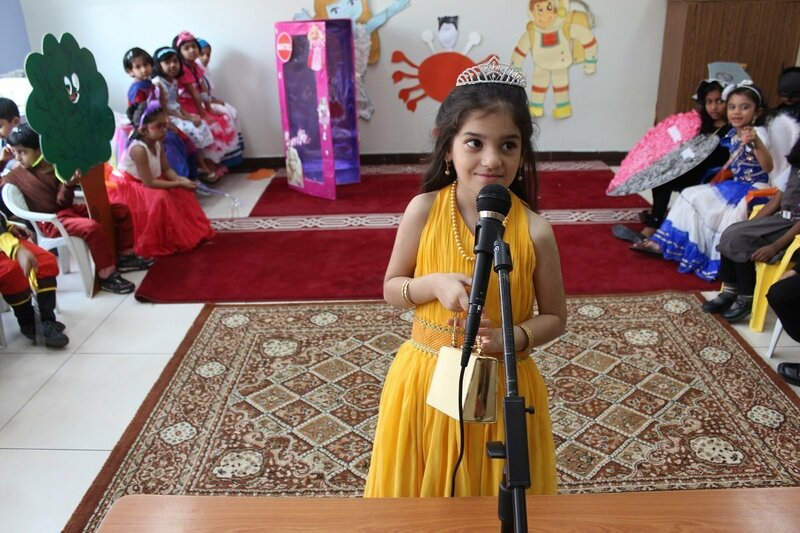 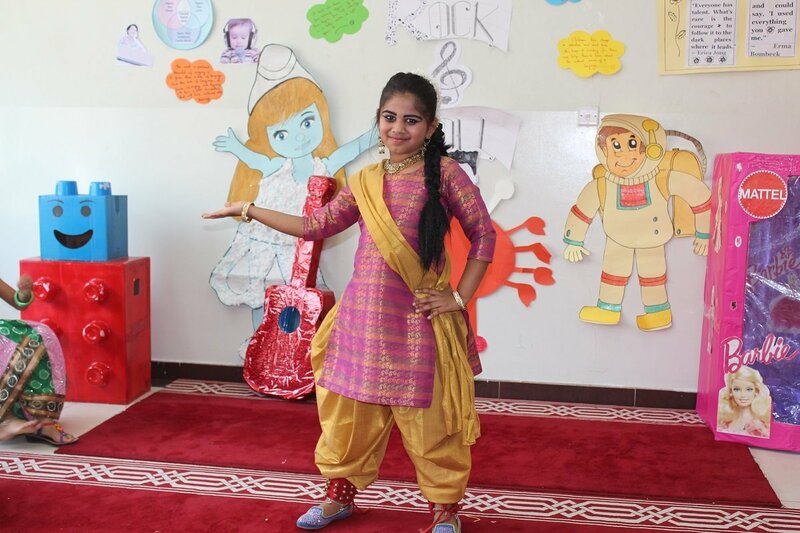 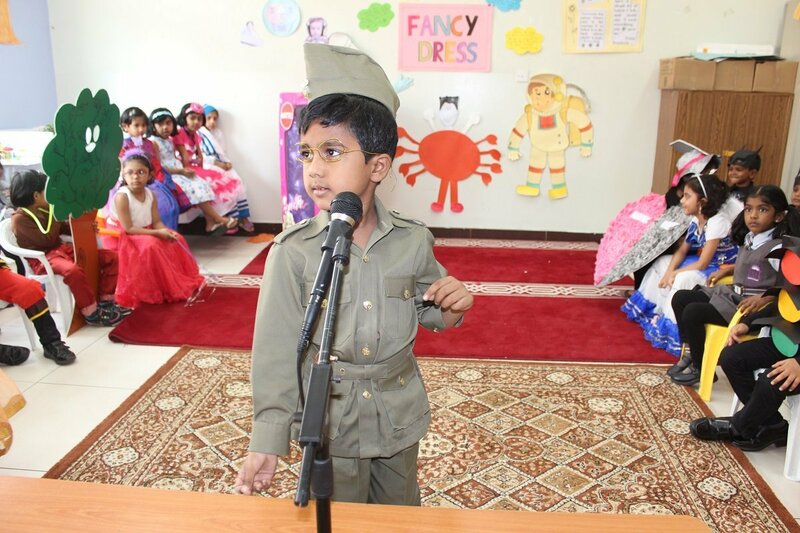 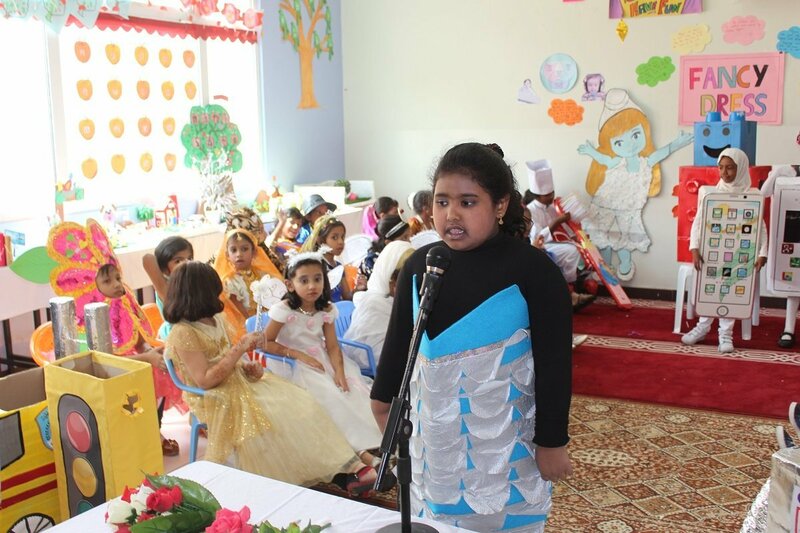 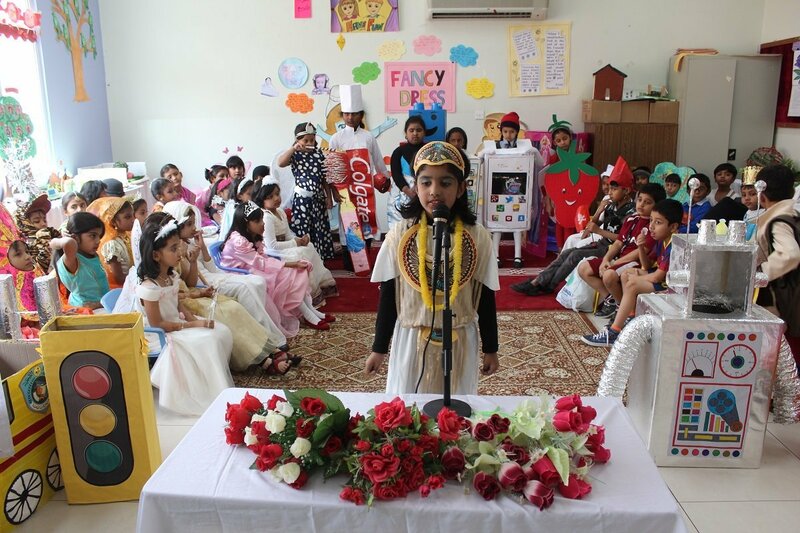 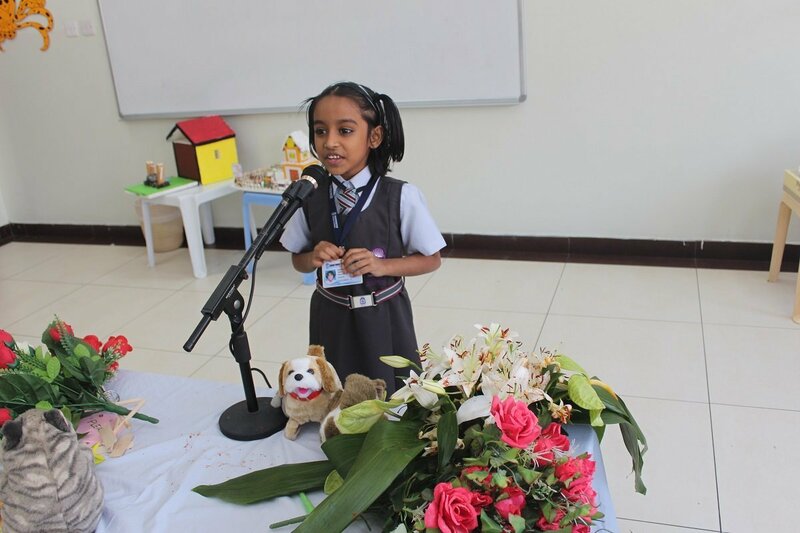 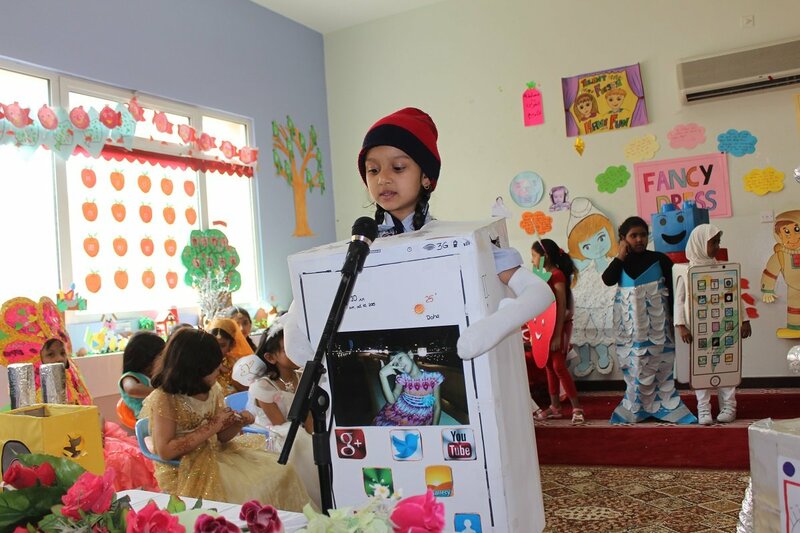 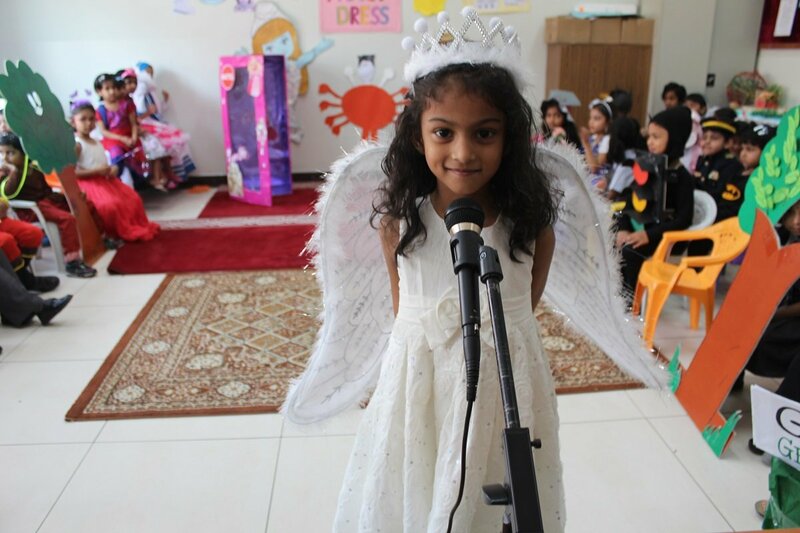 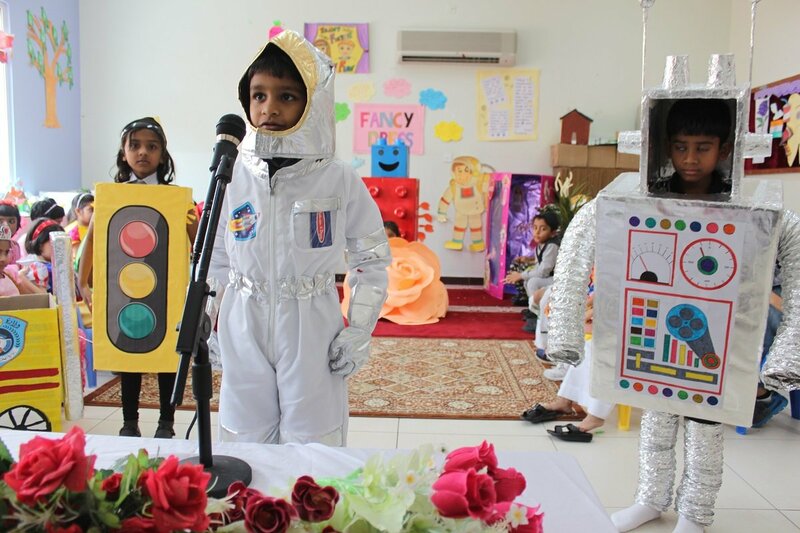 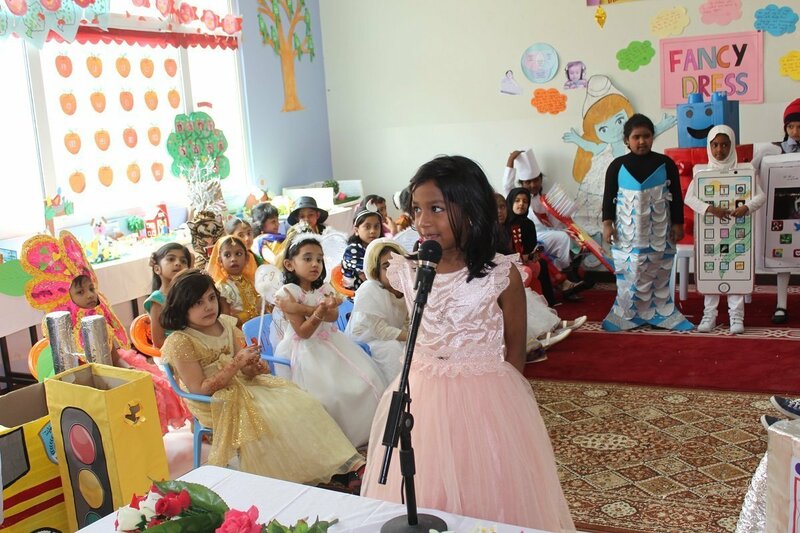 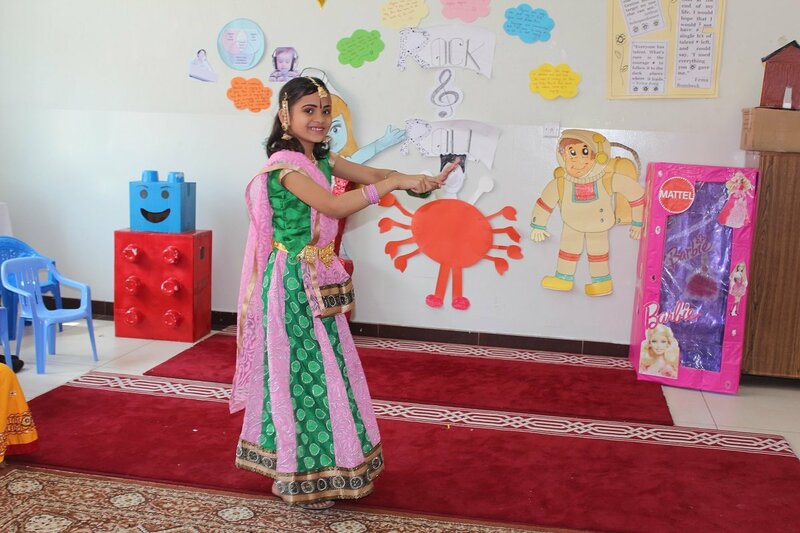 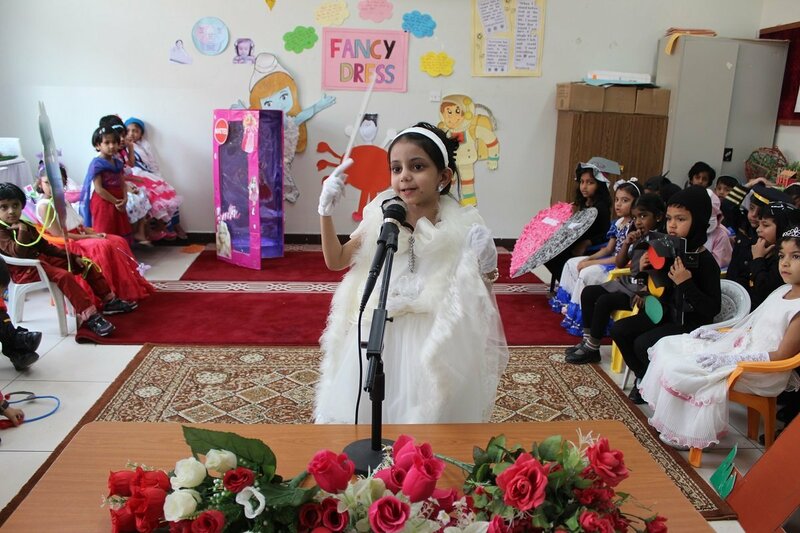 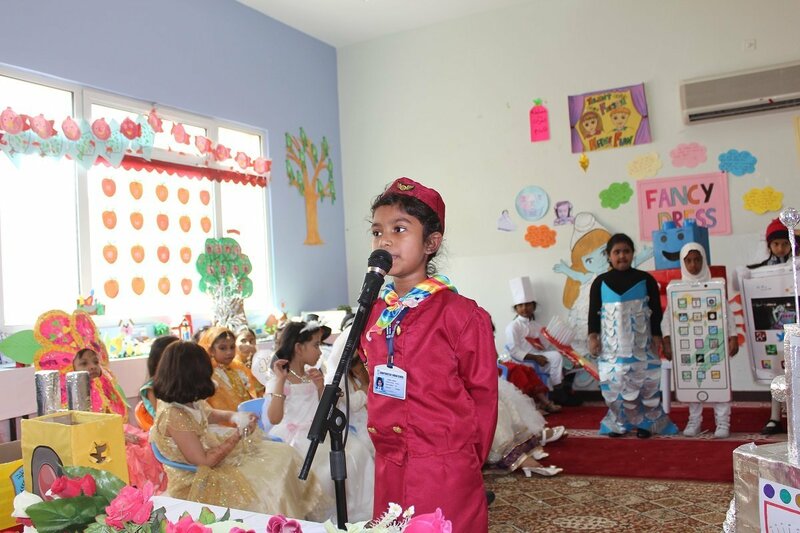 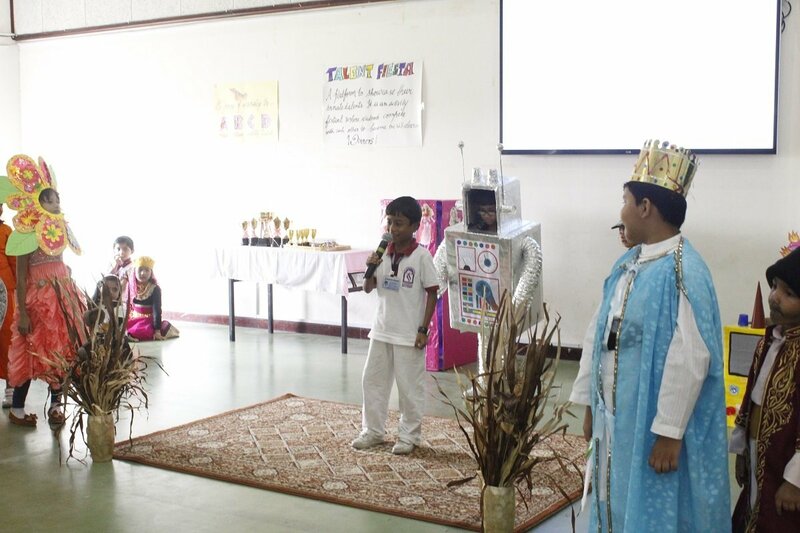 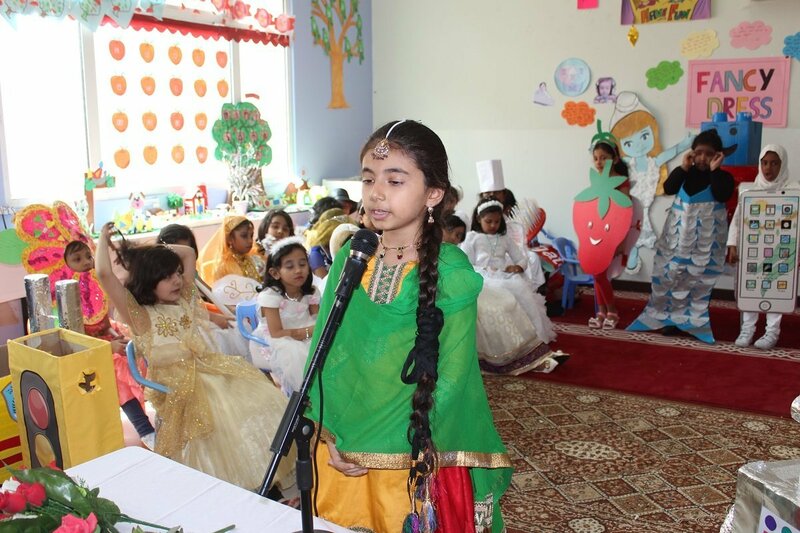 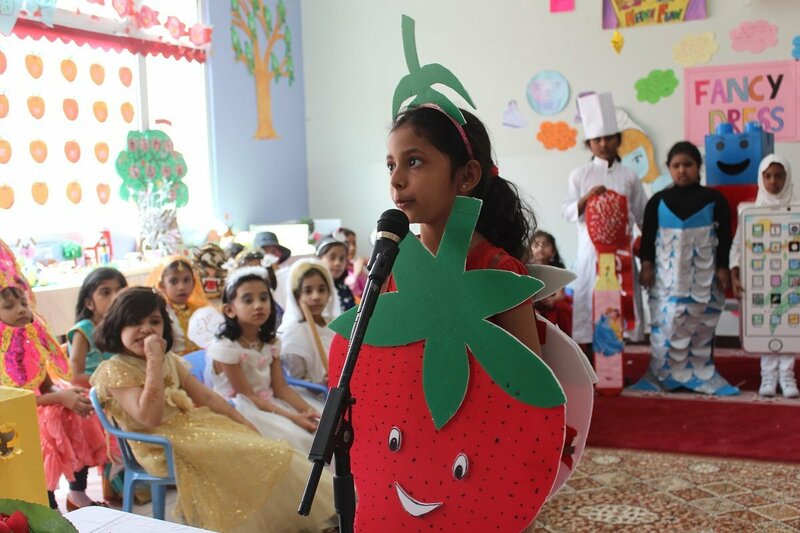 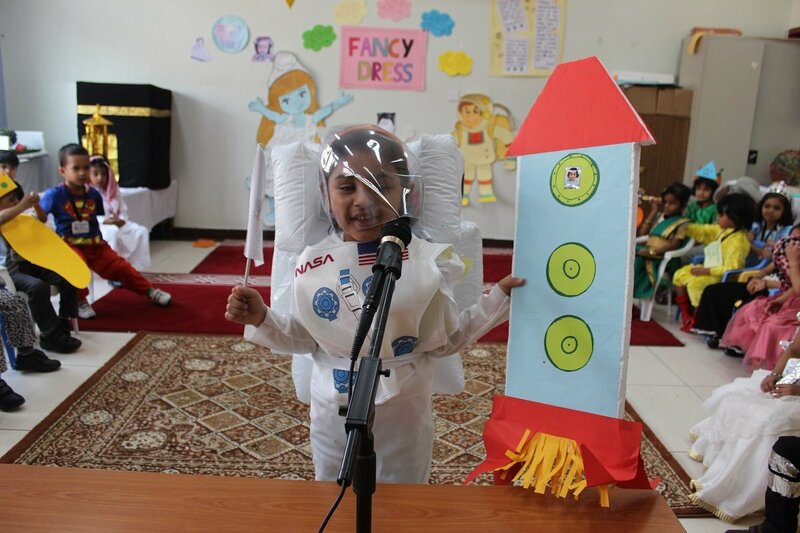 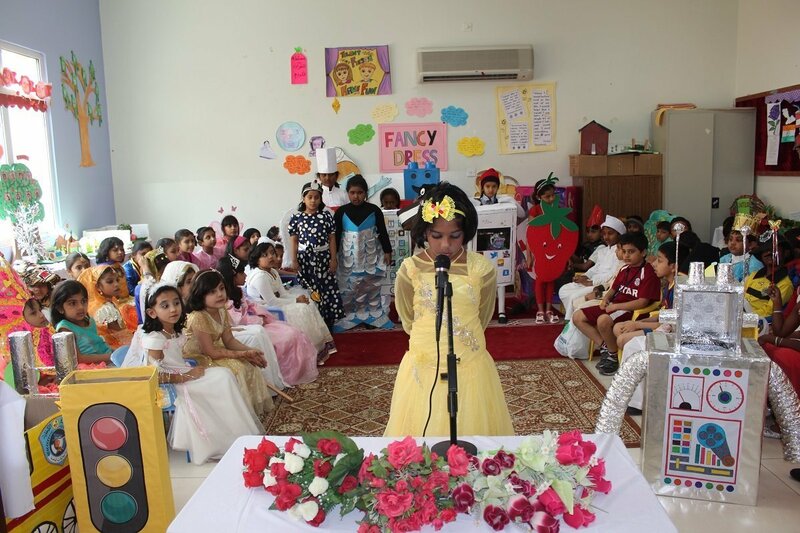 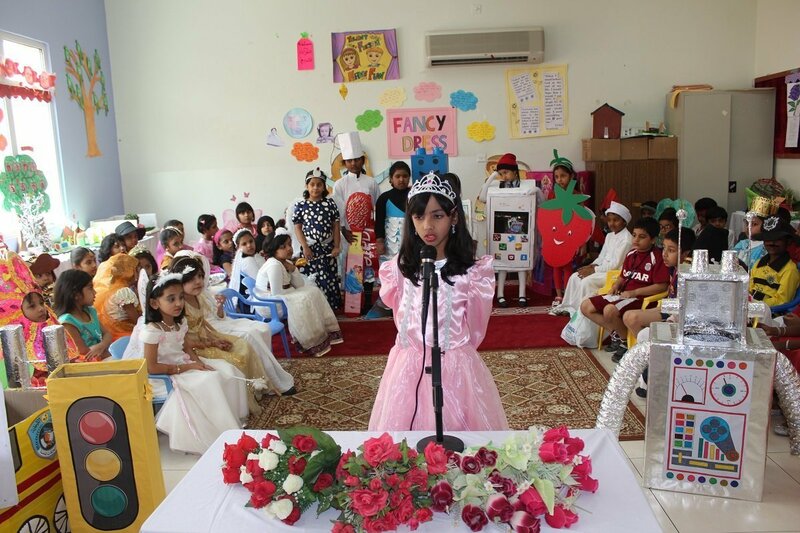 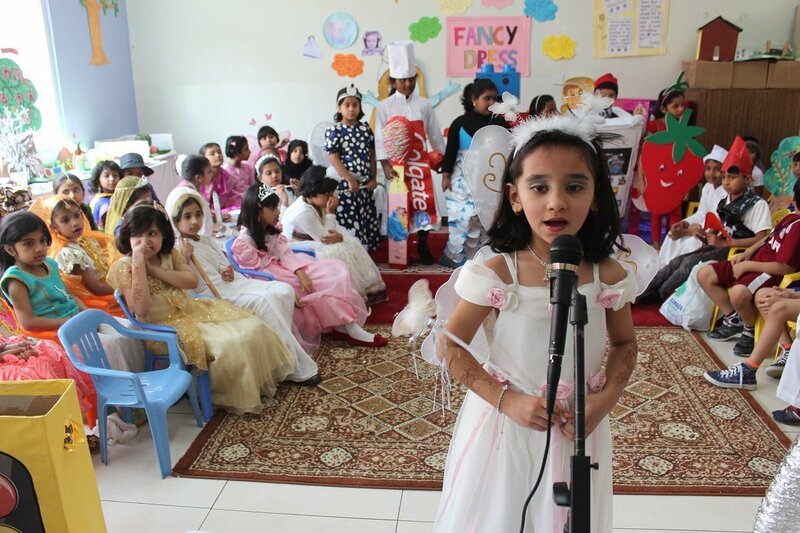 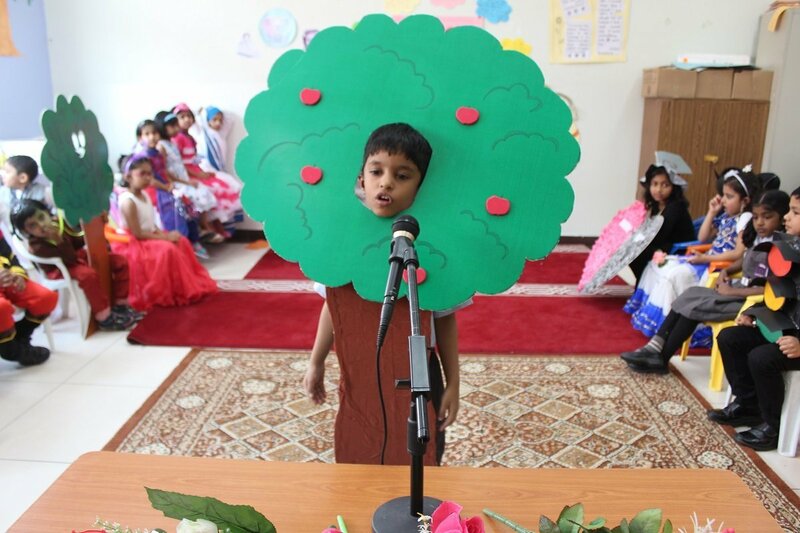 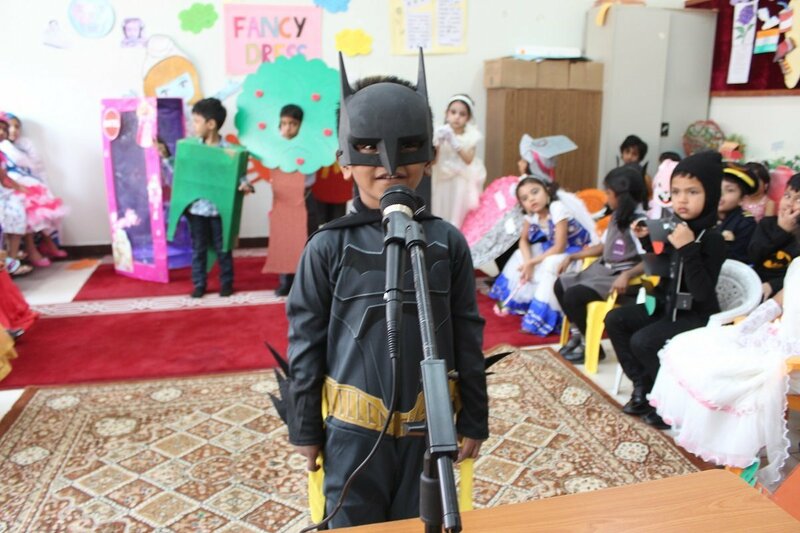 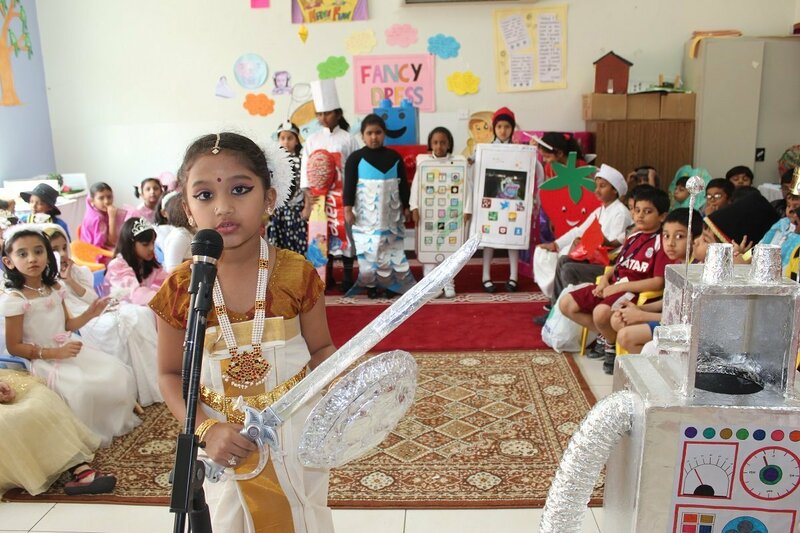 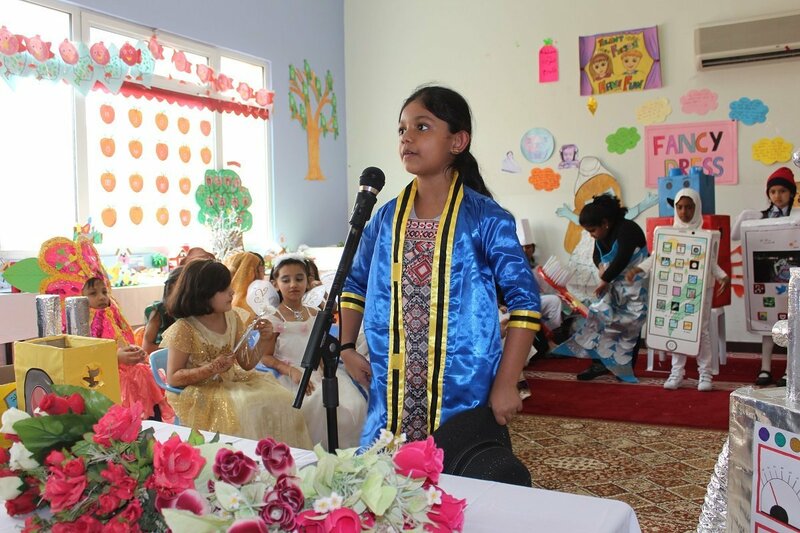 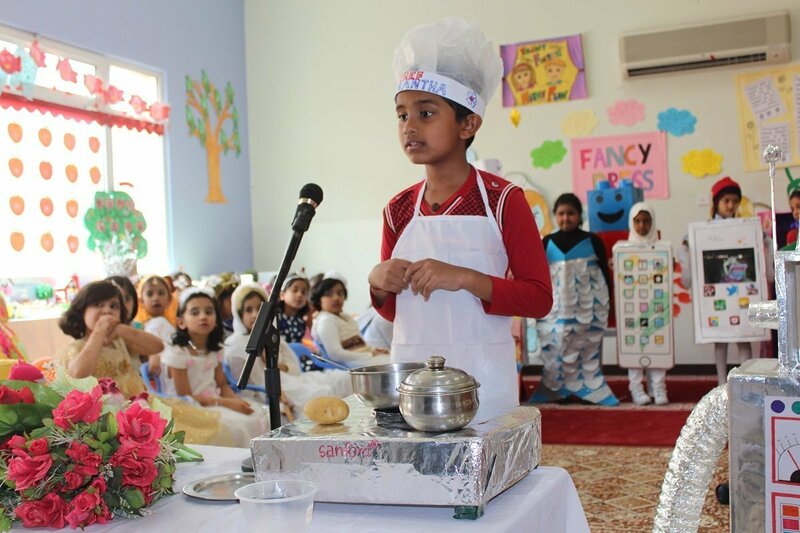 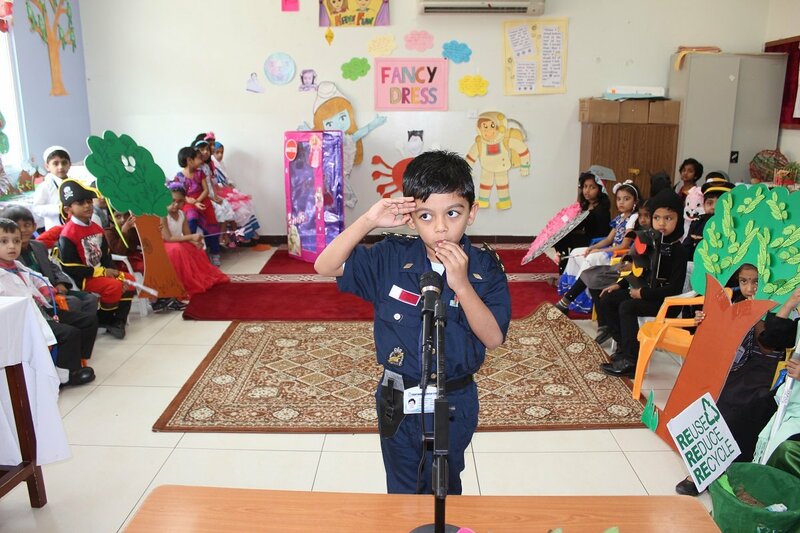 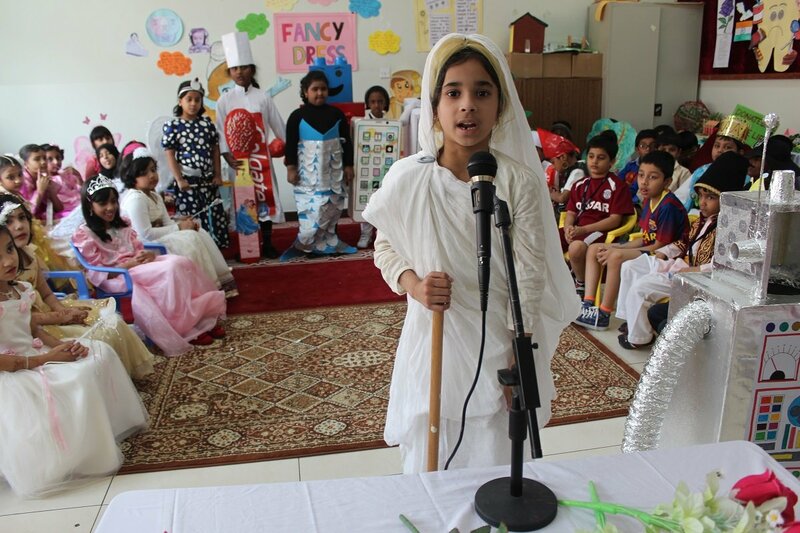 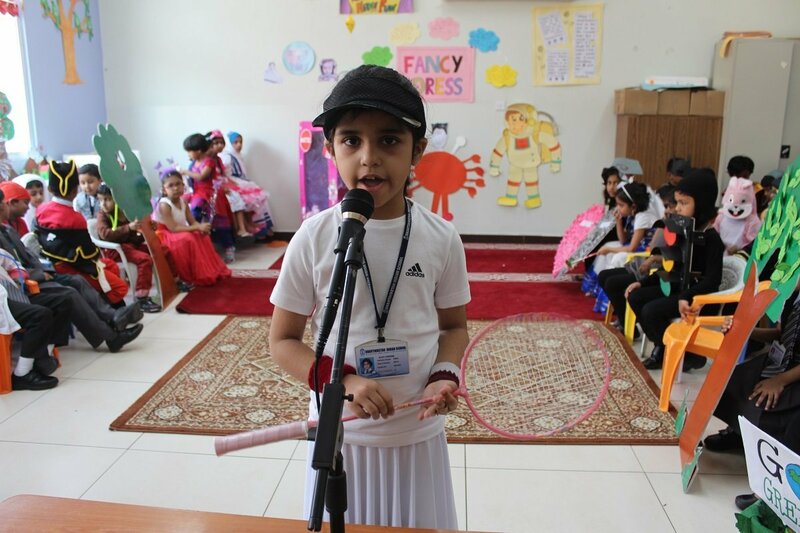 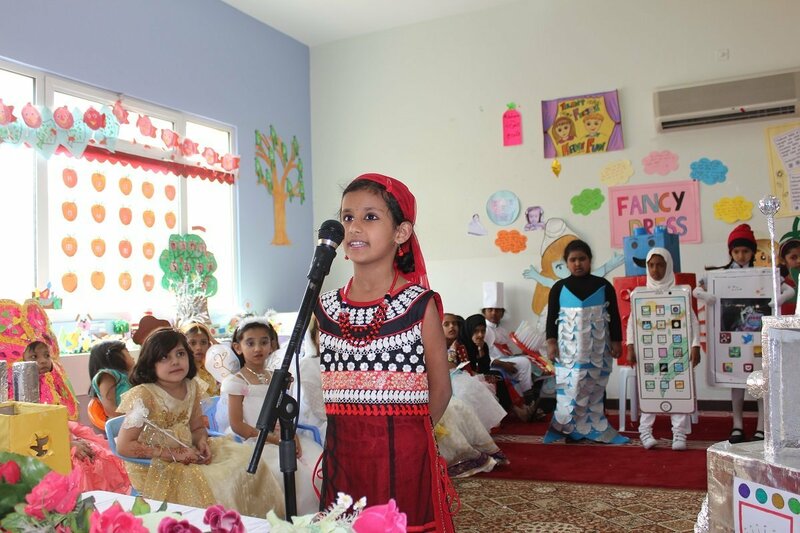 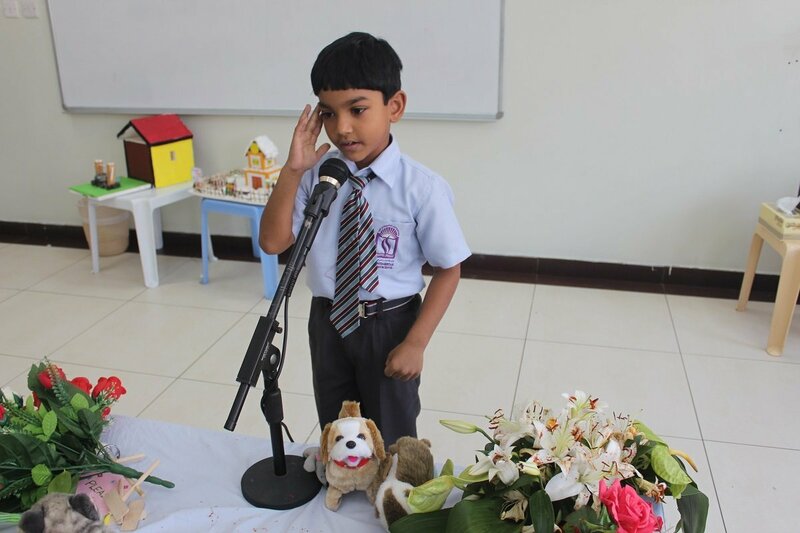 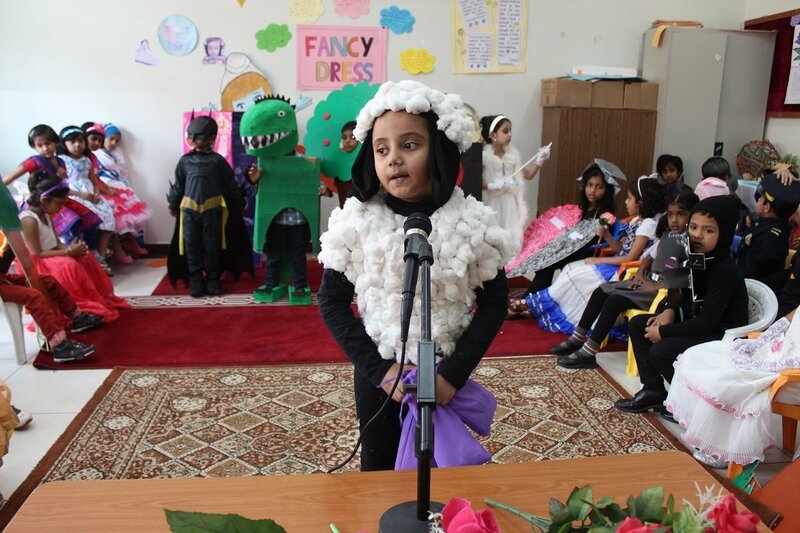 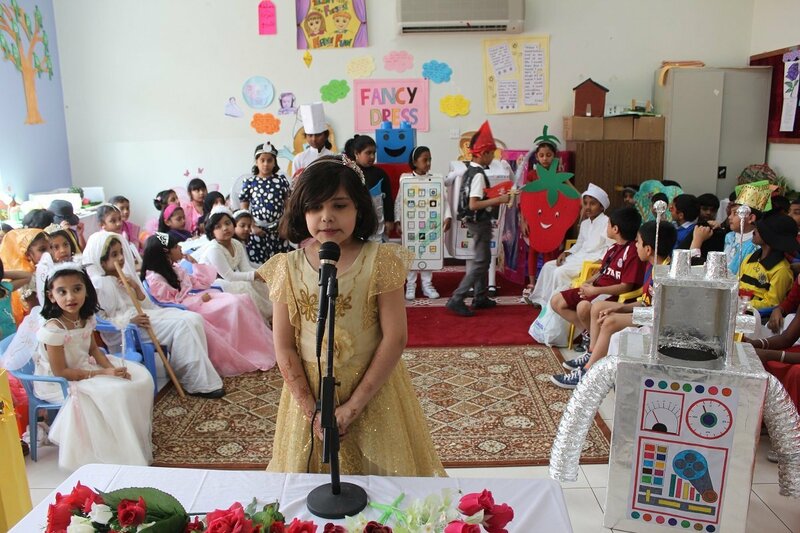 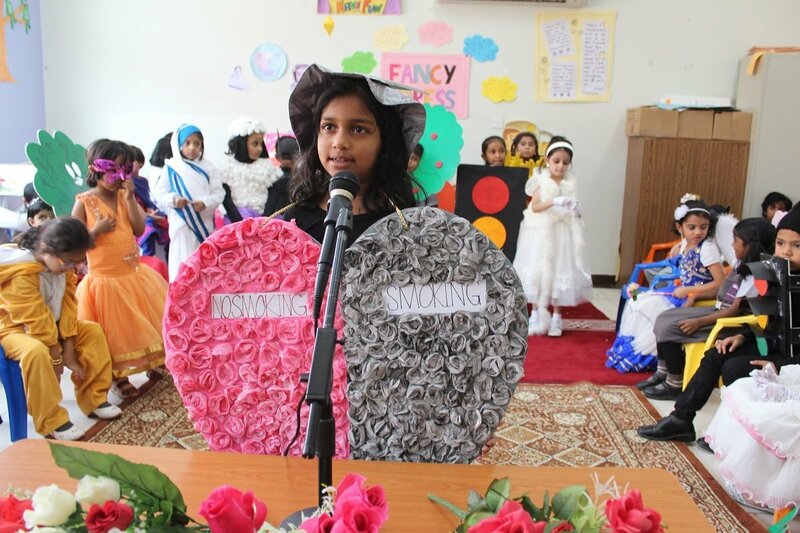 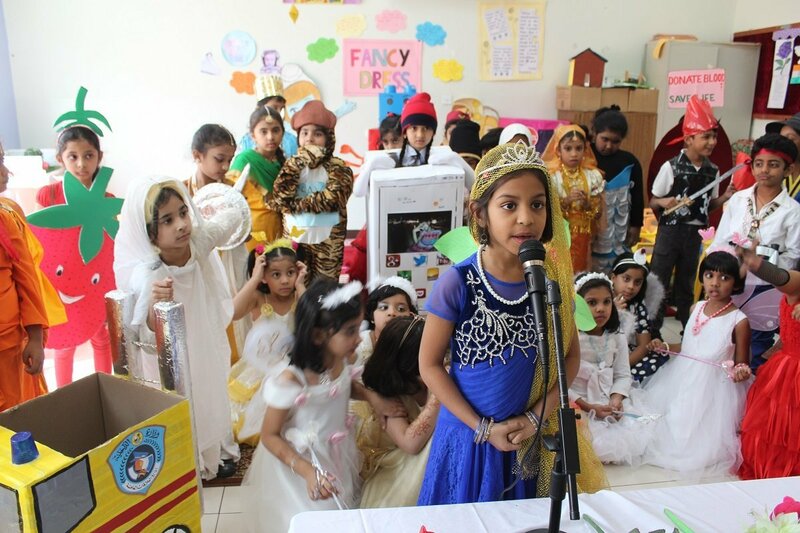 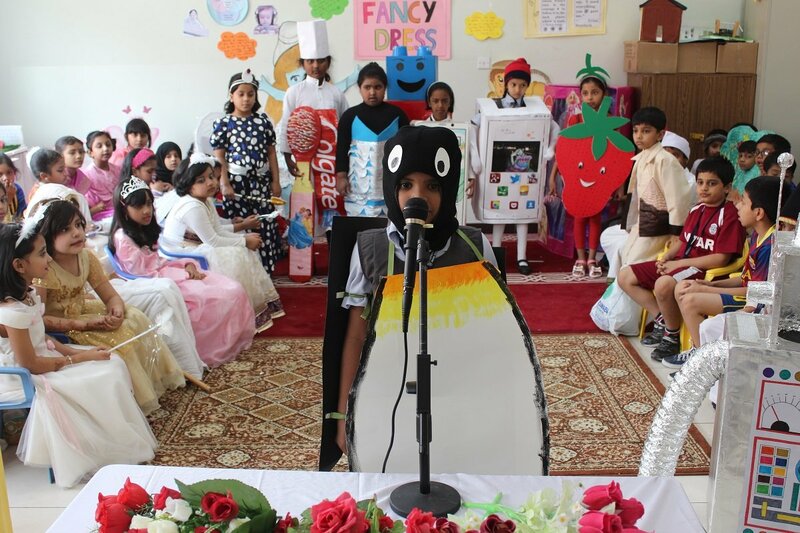 An impressive display of stunning talents in the above events proved to be a great learning experience for the students and gave them a platform to explore their innate talents. 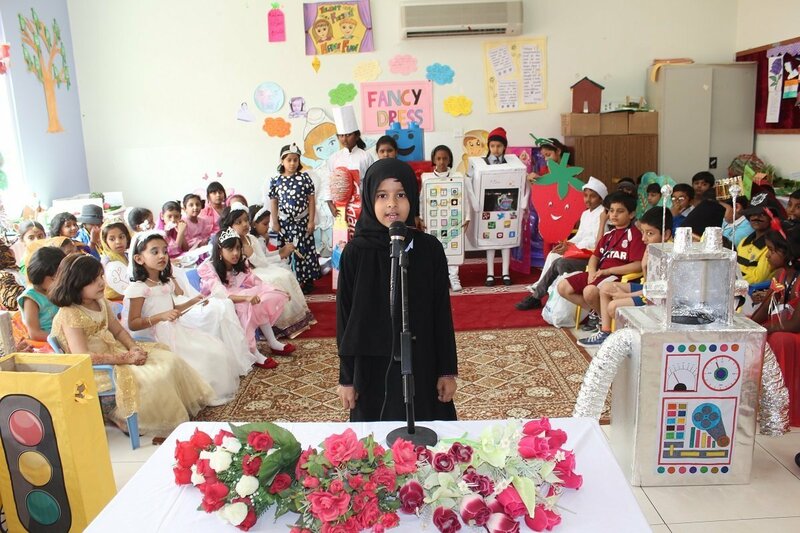 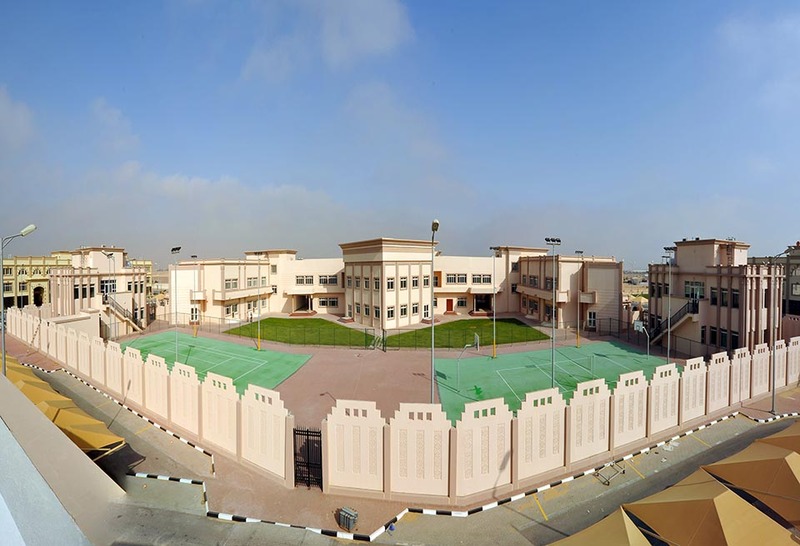 This endeavor indeed had a positive impact on student’s achievement, teacher’s satisfaction and school culture. 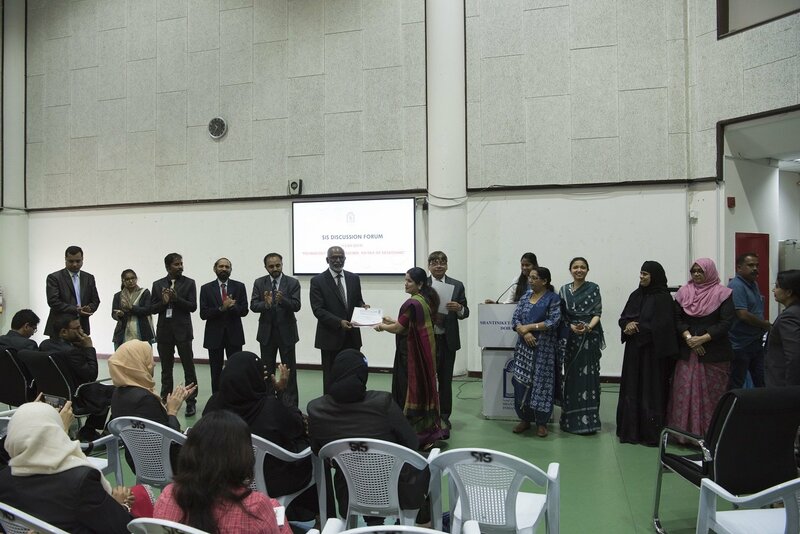 Principal, Dr. Subhash Nair was appreciative of the commendable performance of the blooming talents and concluded saying it is of utmost importance to take off the edge of competitiveness in students and help them to cope with the challenges of the life. 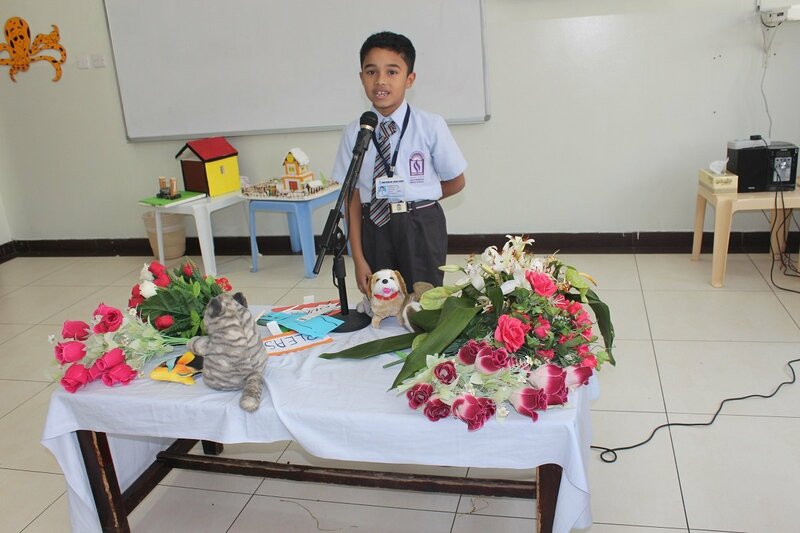 He thanked the parents for their valuable support. 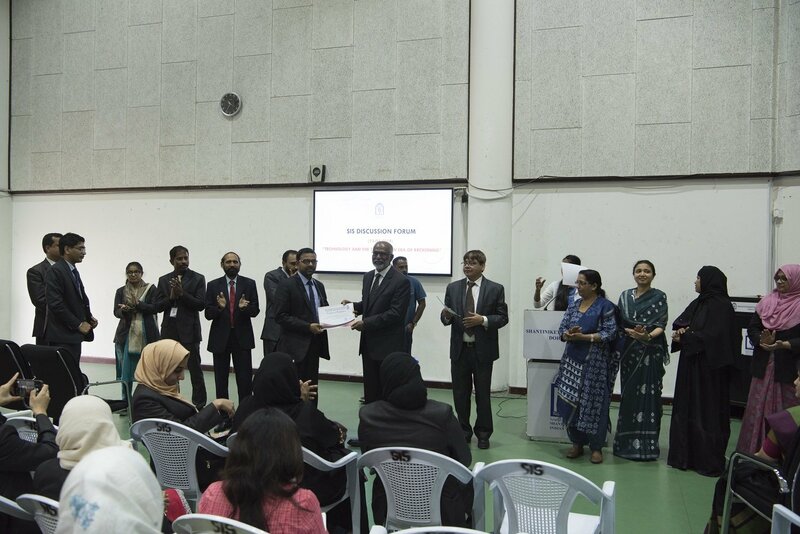 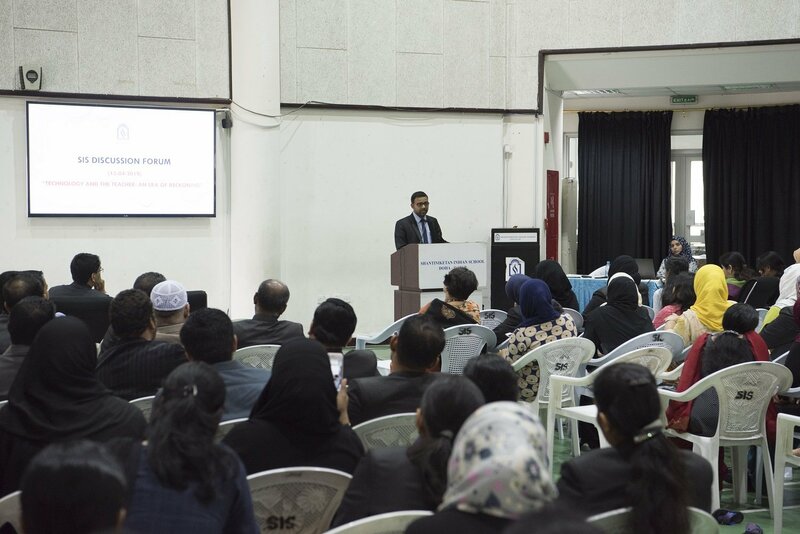 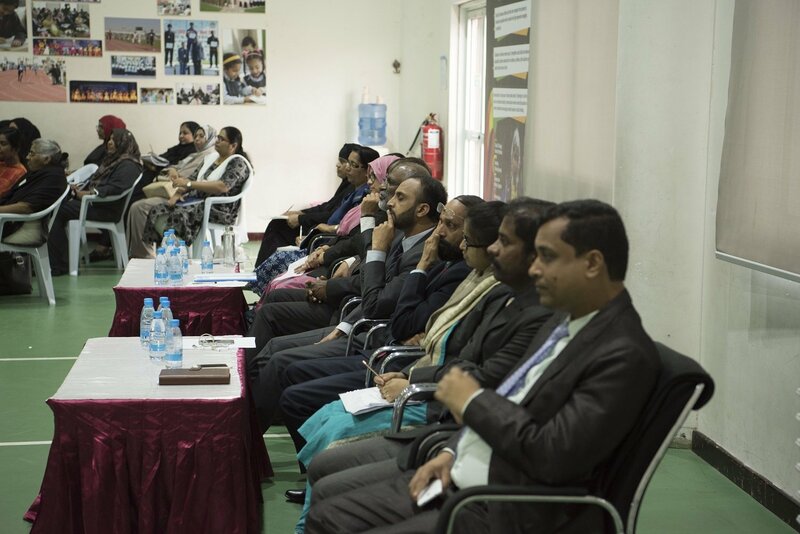 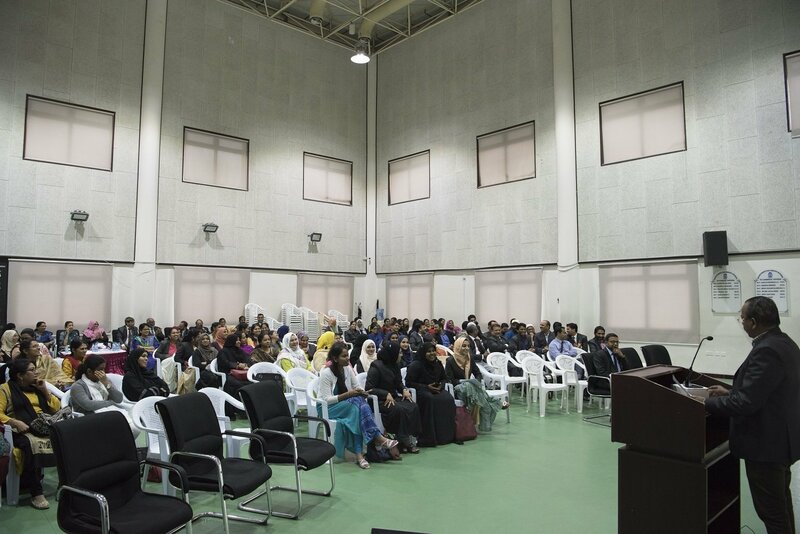 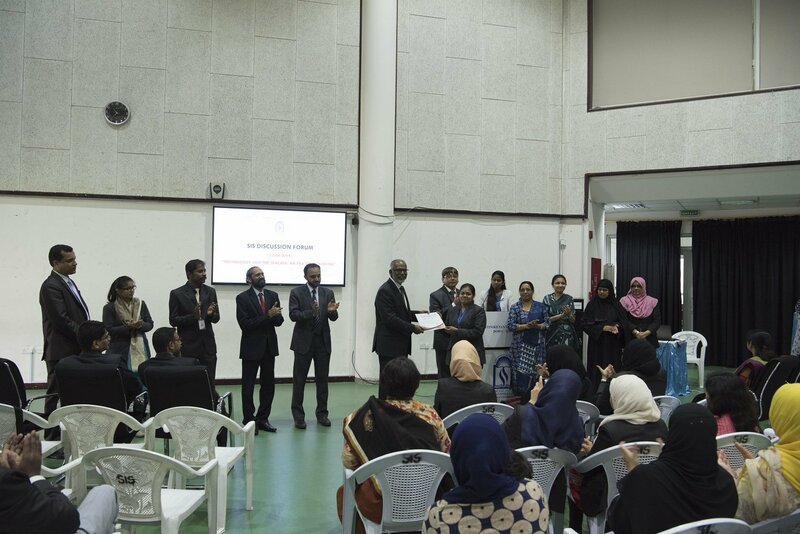 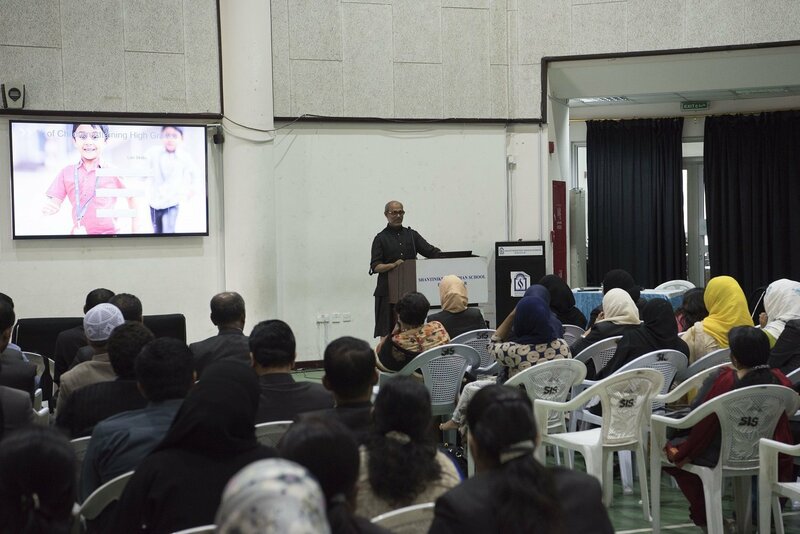 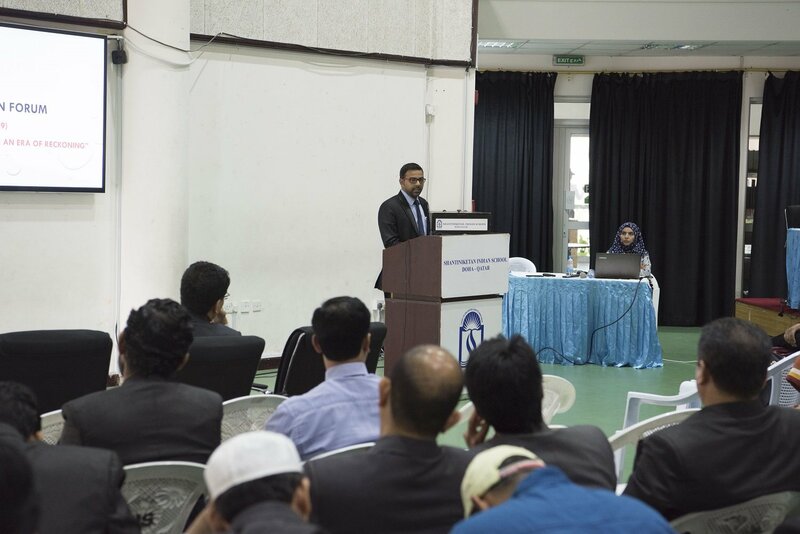 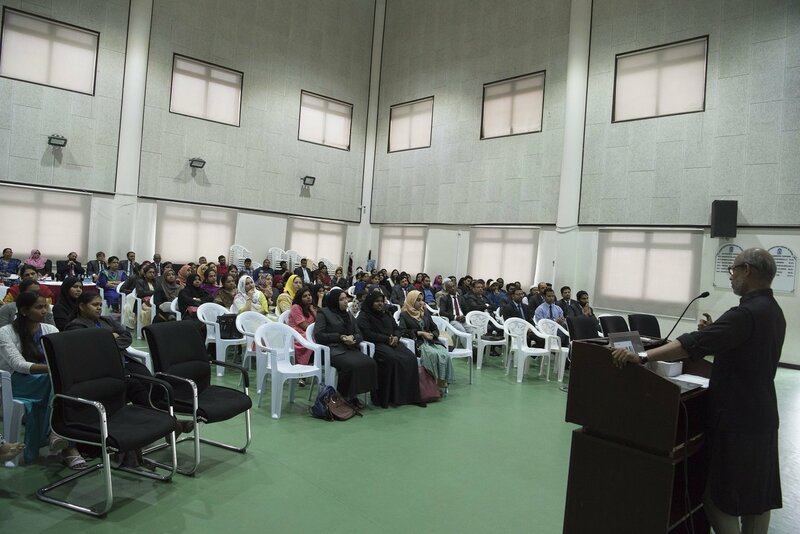 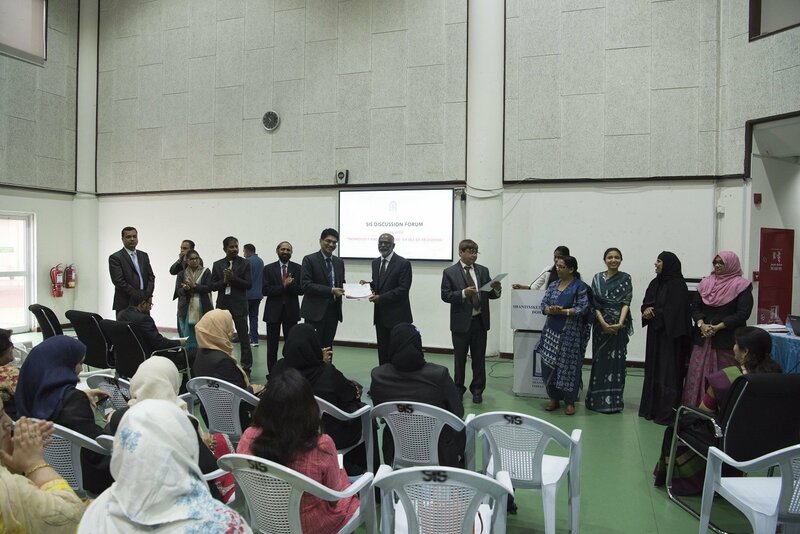 Vice-Principal (Academics), Mr. Shihabudeen also graced the occasion. 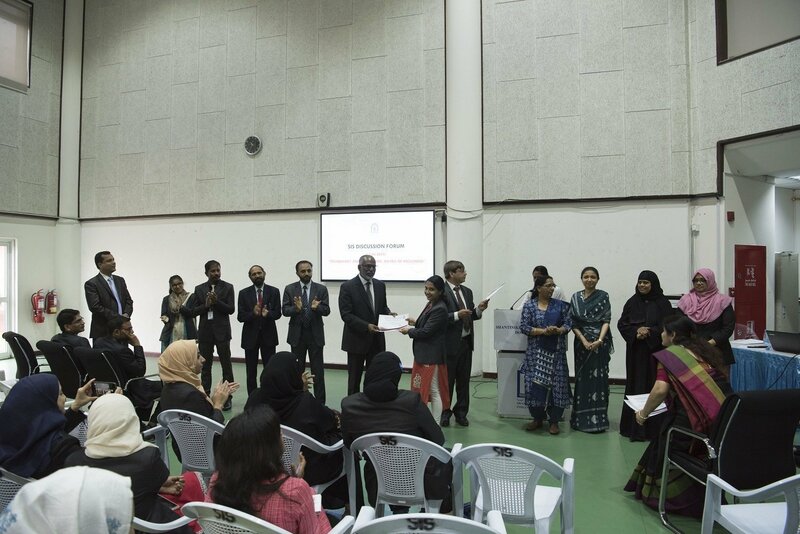 Individual championships of Talent Fiesta 2015- 2016 were honoured with Trophies and Certificate of Excellence by the Principal. 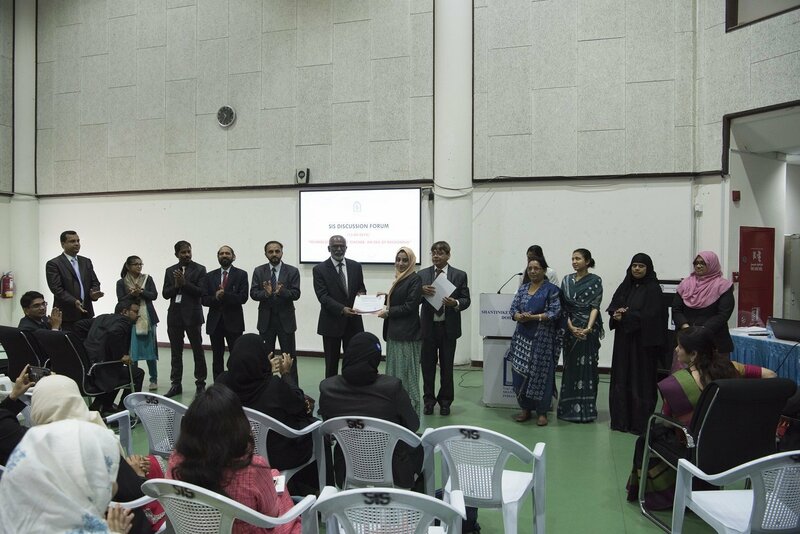 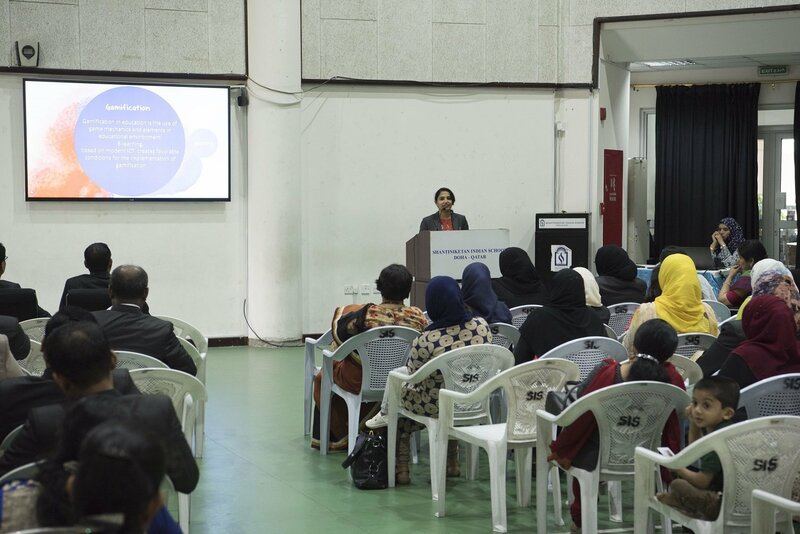 Headmistress, Mrs. Mehjabeen Hasan thanked the parents with the words of appraisal for their sincere efforts in making this event a resounding success.